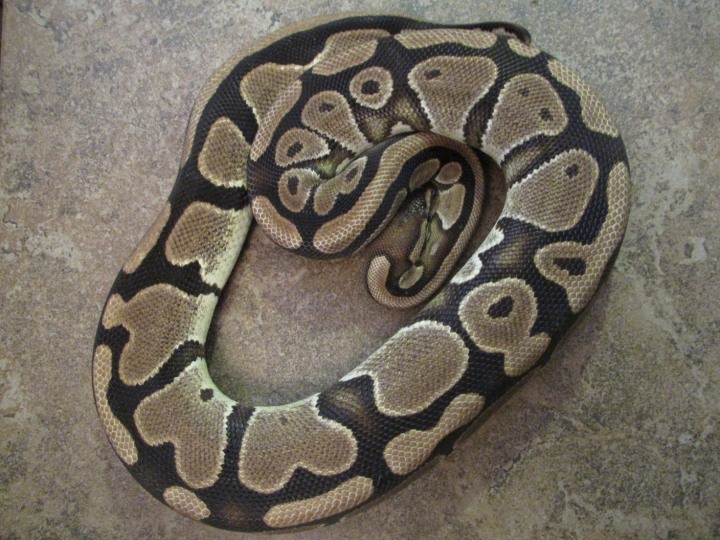 The Mojave Ball Python is a codominant color and pattern mutation, one of the first proven codominants back in 2000. 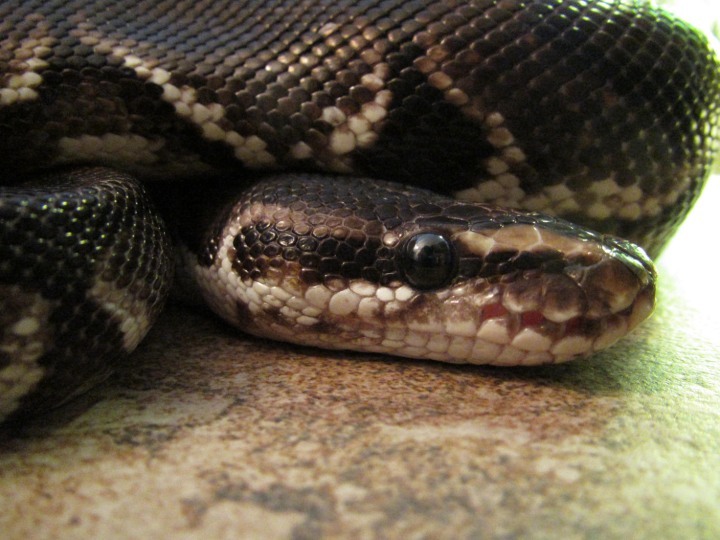 When crossed to itself it will create one of the Blue Eyed Lucys (BEL complex). 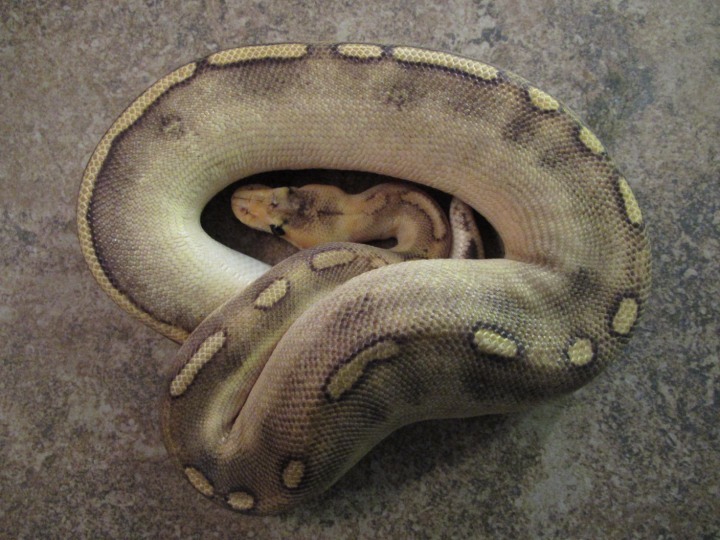 The Mojave mutation has been crossed into every major mutation to create some amazing morphs in the industry. 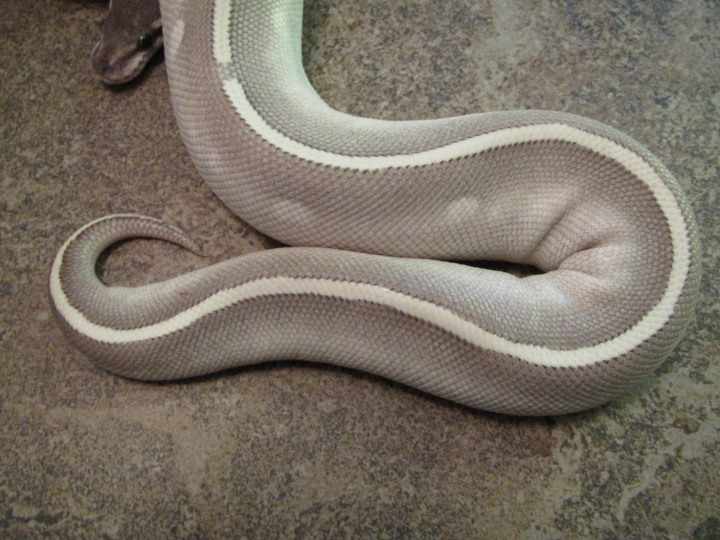 Some of these combinations have come with surprising results such the blue eyed leucistic, crystal and the mystic potion, the purple passion and many others. 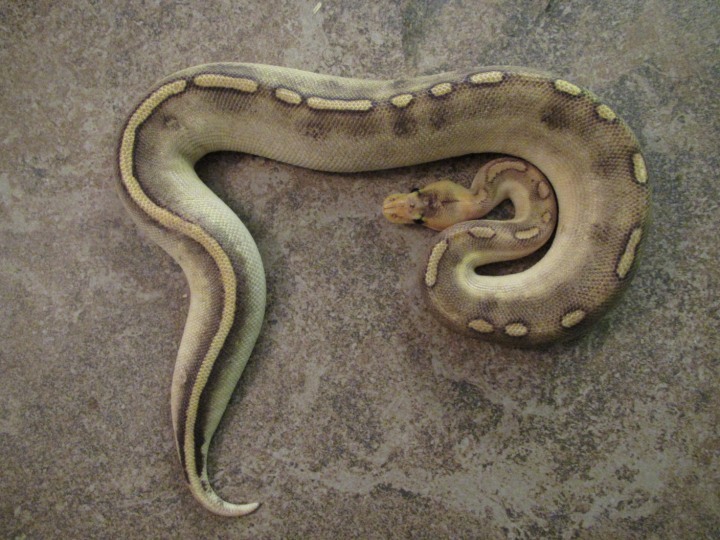 We are working with several mojaves in our collection and will have some great combinations with this morph available for the public. 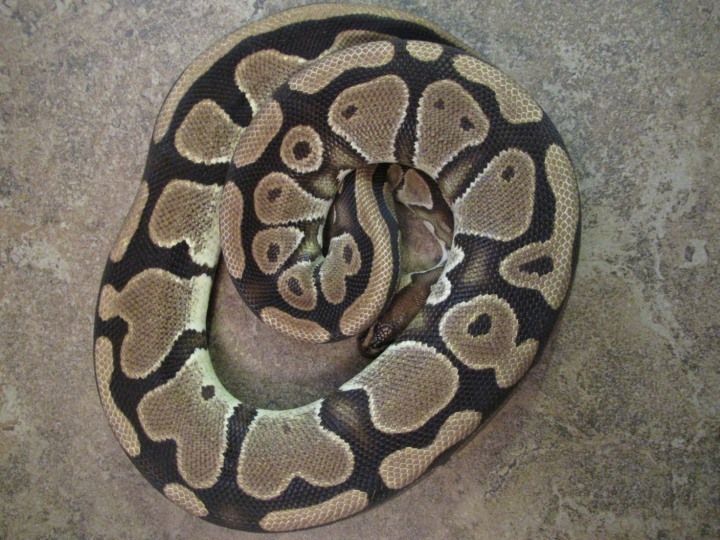 The Mystic Ball Python is a codominant color and pattern mutation that was first produced by Anthony McCain. 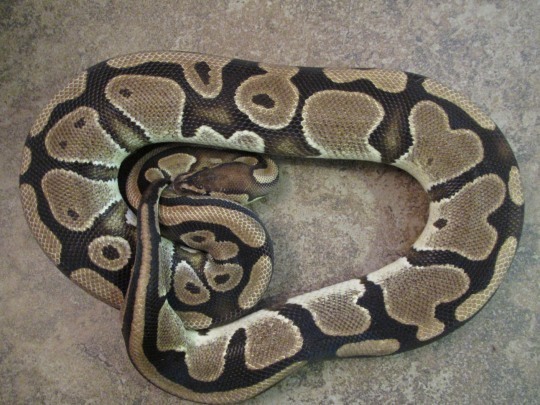 Originally it was thought to be a Mojave until its genetics were further revealed and now understood as its own mutation. 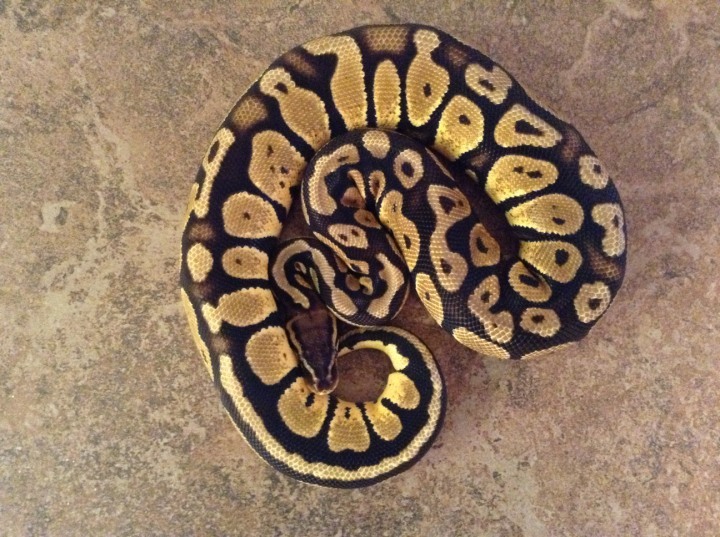 The mystic trait holds great breeding potential and produces some amazing morphs when combined into other traits as well as its own. 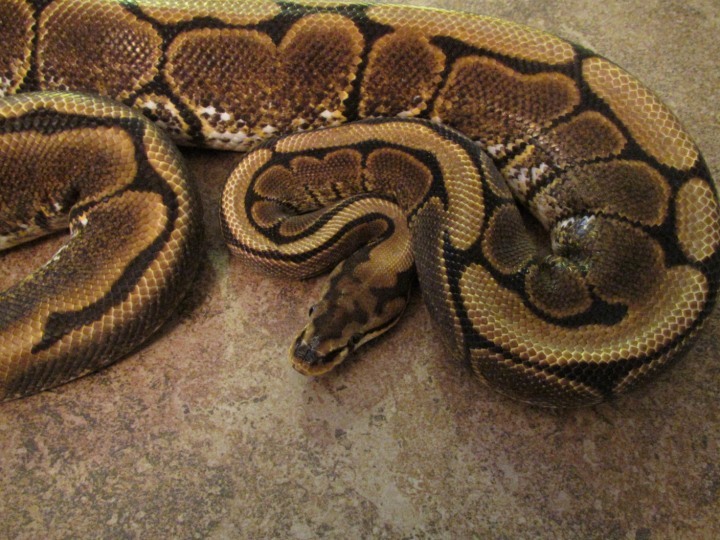 Our original goal when getting this morph was to create mystic potions but will be using him to create some of the other nice mystics combos. 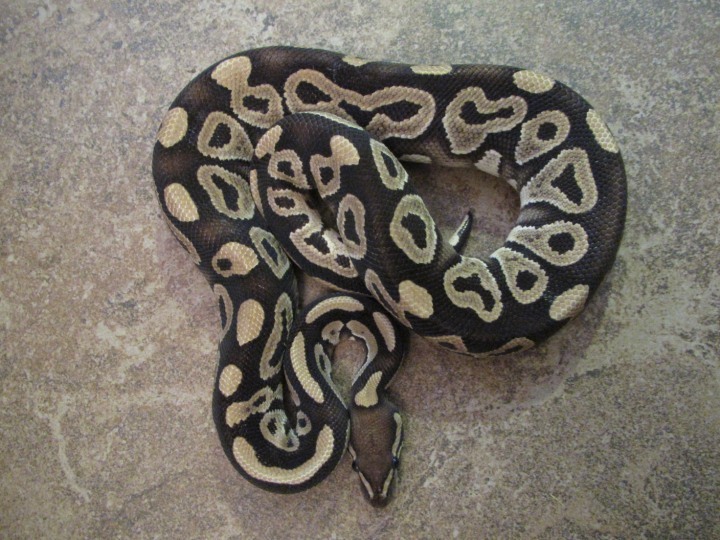 We were fortunate enough to bring a male Purple Passion Ball Python produced by a friend of ours and fellow breeder Gus Lowe of GL Exotics. 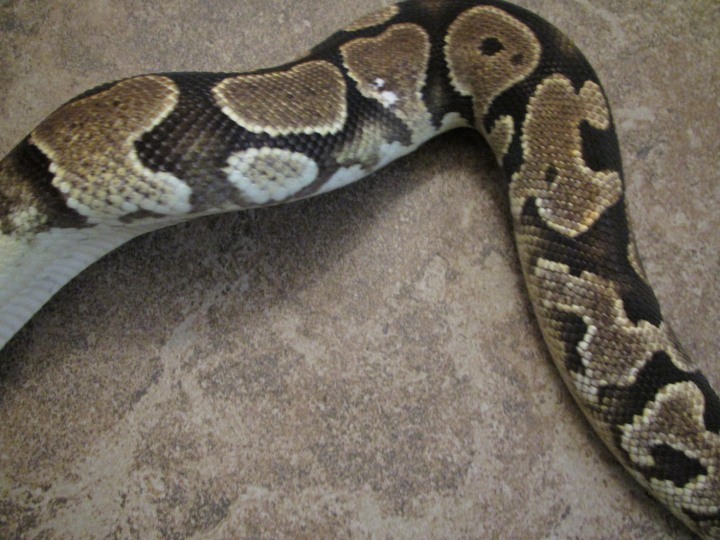 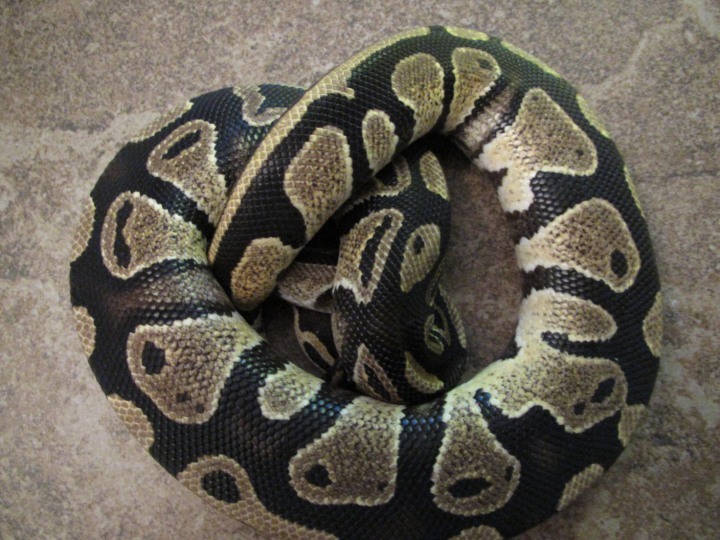 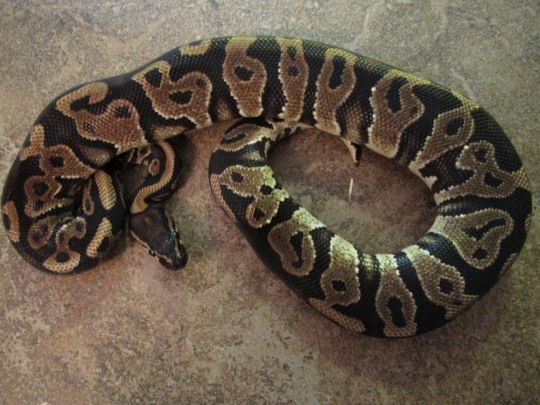 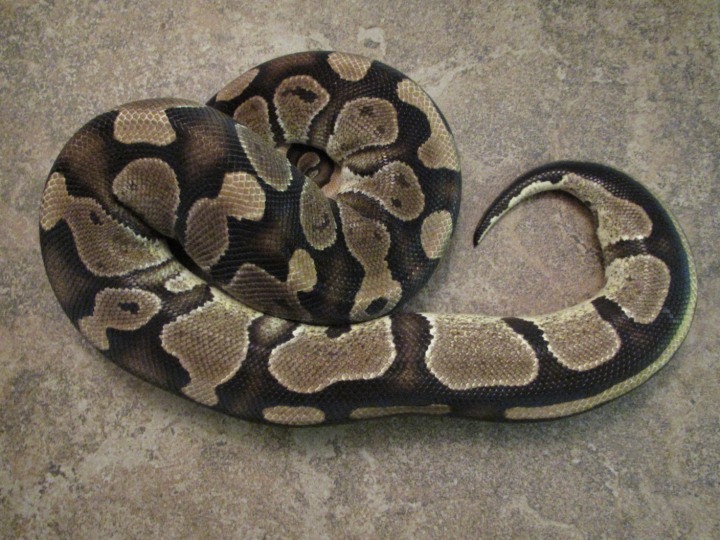 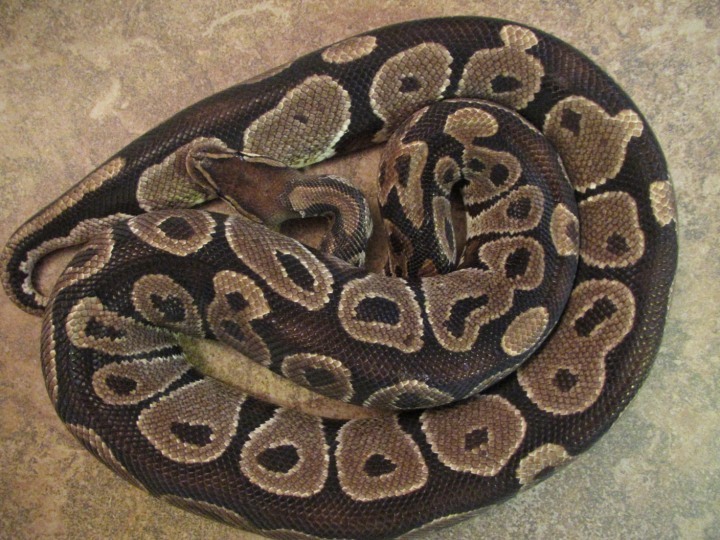 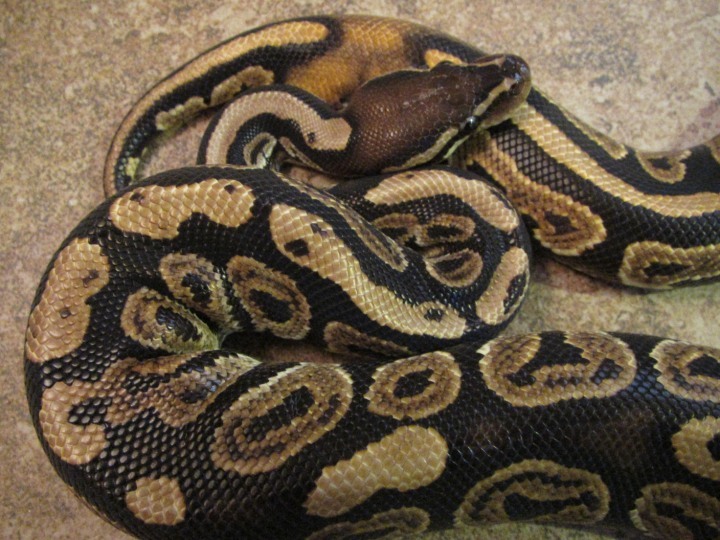 This morph is a combination of the Mojave mutation and Phantom mutation as gorgeous double codominant gene ball python. 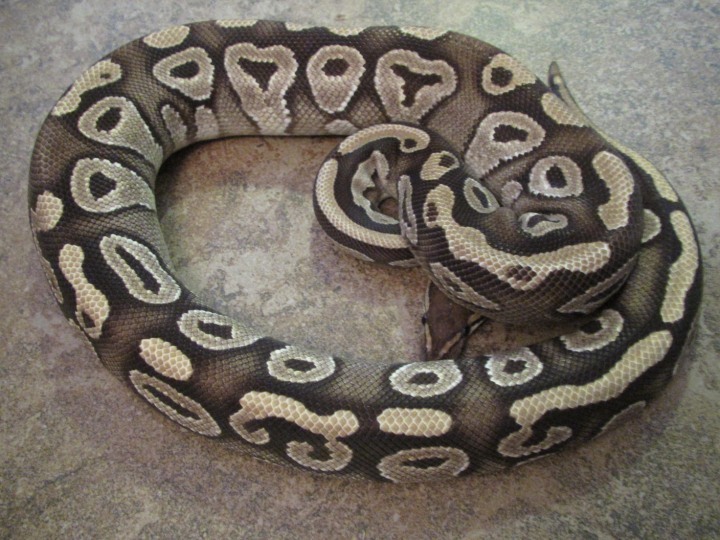 The Phantom is a codominant color and pattern mutation. 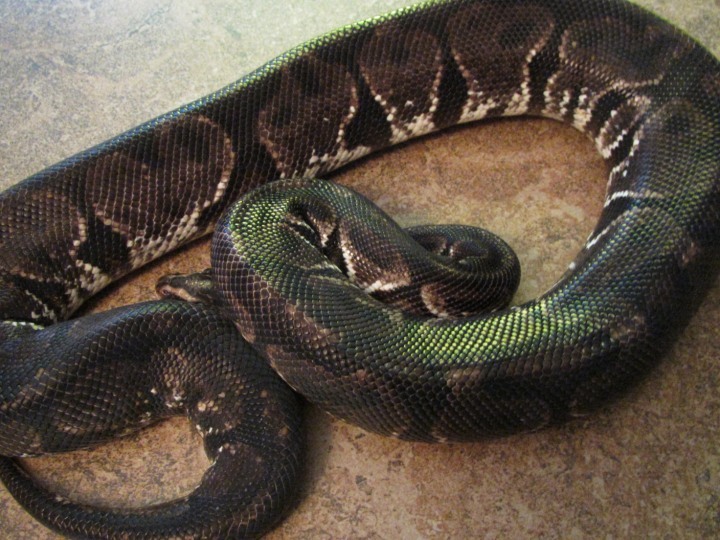 Originally it was thought to be a dark version of the Mojave until 2005 when the Phantom was proven as a unique codom mutation. 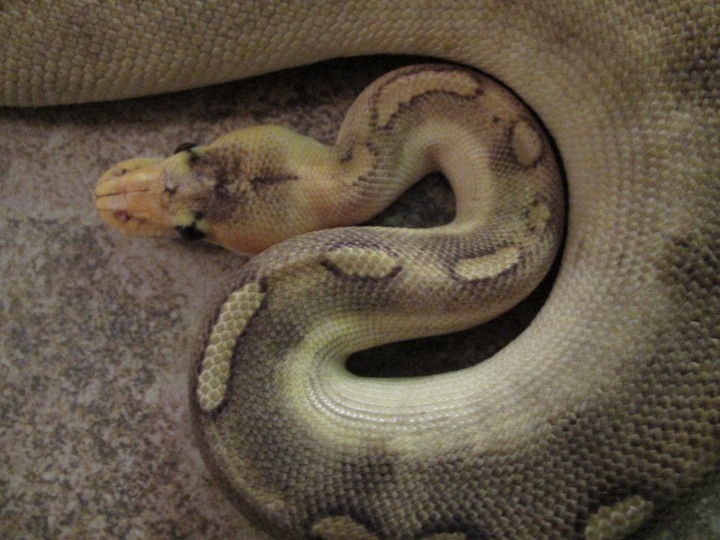 Along with the Mystic, its ordinary look is very deceiving and when combined with the right mutations can make some amazing designer morphs. 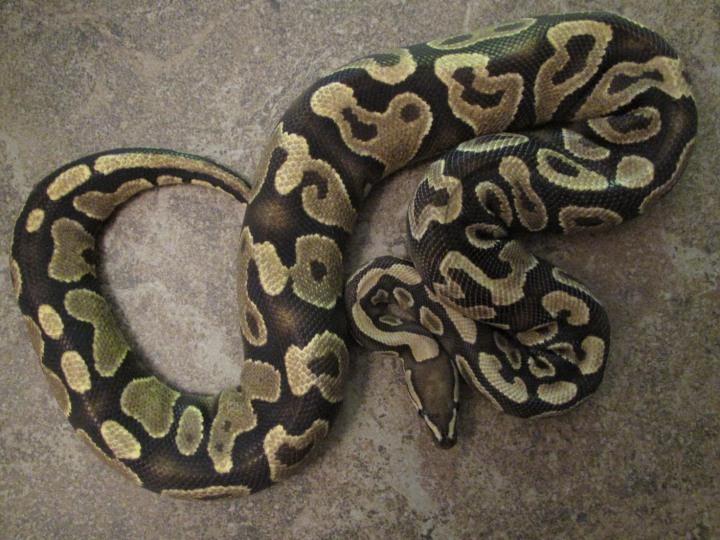 Having this male with both the Phantom and Mojave Genes in one snake, he is essentially a powerhouse of genetics and will make some great designers for us. 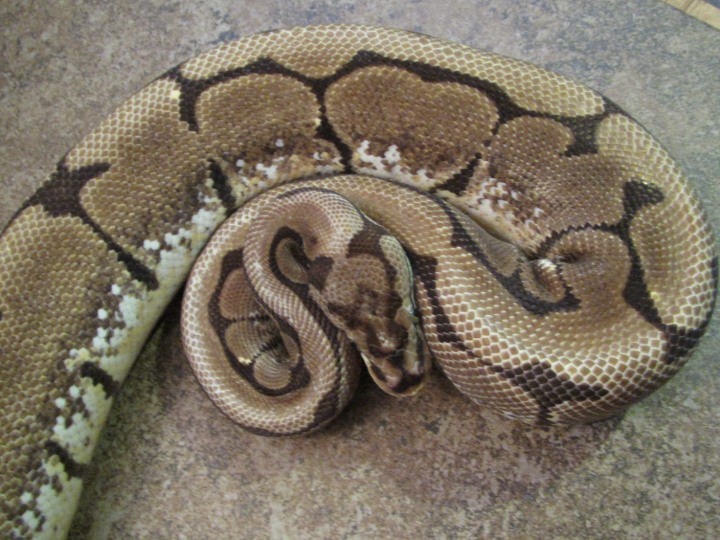 The Calico line is a dominant color and pattern mutation. 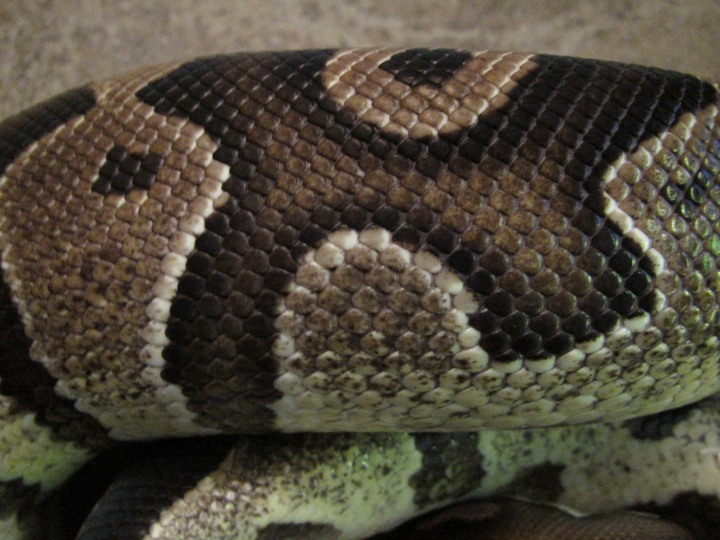 It is known for its irregular white pigment-less areas on the sides. 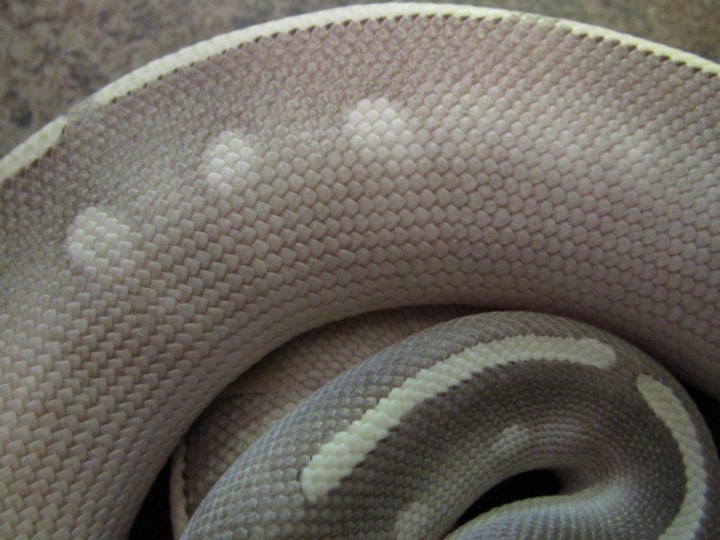 These white areas vary on an individual basis and low white calicos can produce high white offspring. 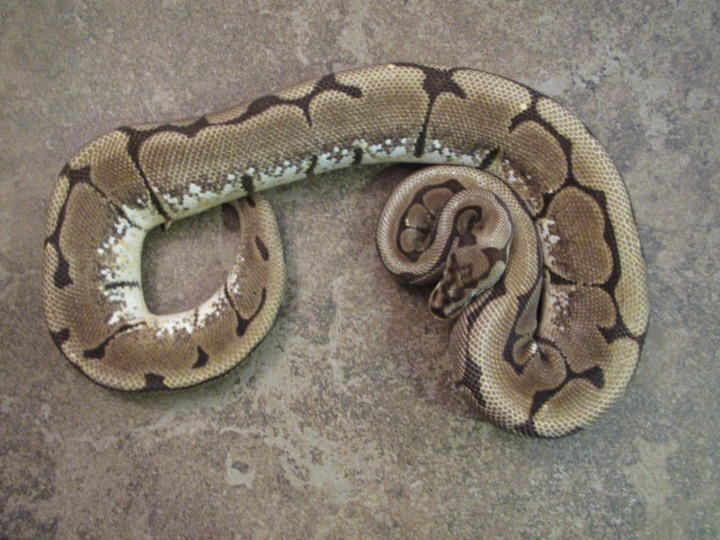 There are different established lines of calico that include the Sugar line being one of the most extreme lines and Flora & Fauna Line being considered one of the brightest lines. 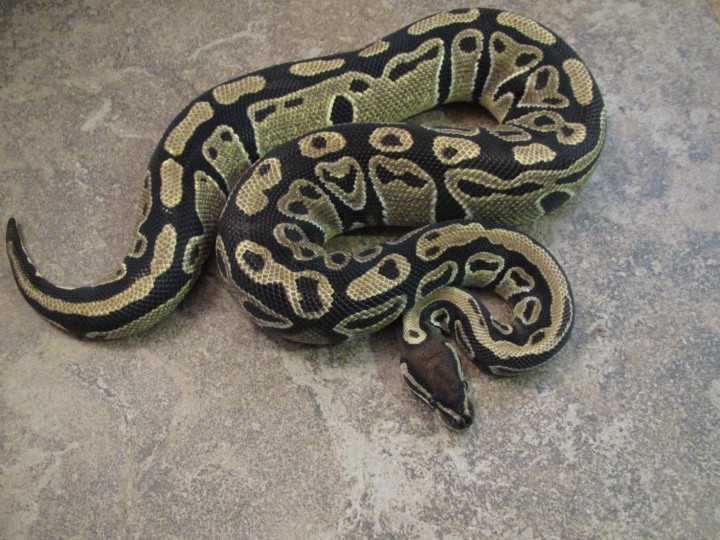 We are working with the Flora & Fauna Line and will be making some great combos with this male. 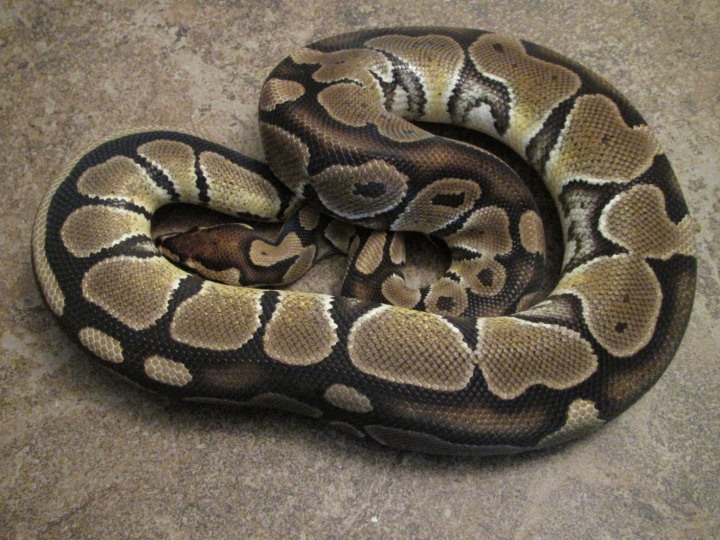 The Champagne Ball Python is a dominant color and pattern mutation. 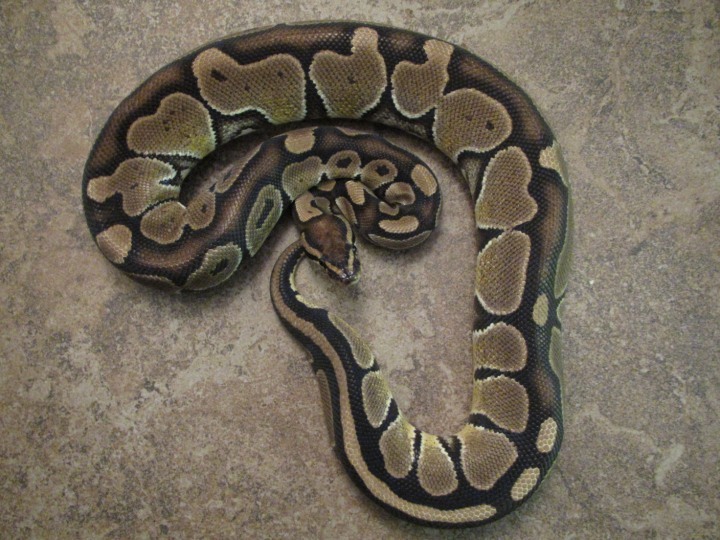 This is one of the newest ball python morphs in the market and many new combinations are being done. 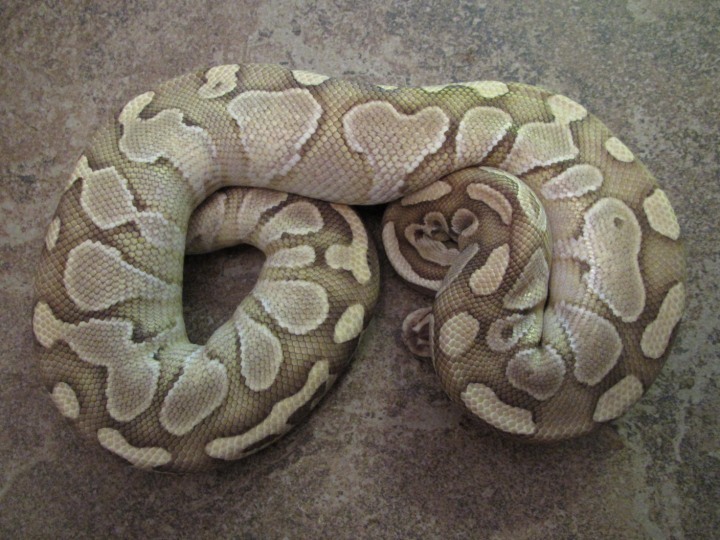 Being that the morph is dominant its appearance often overrides most color and pattern mutations but when combined with the right genetics some amazing morphs have been created. 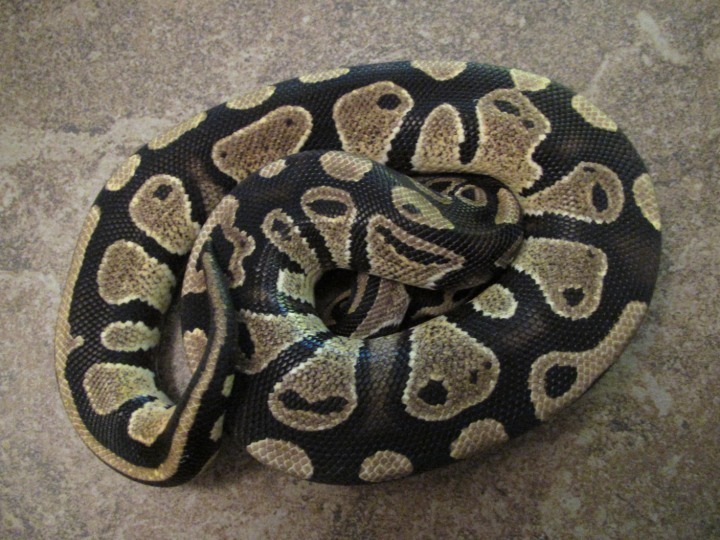 The Spider Ball Python is a dominant color and pattern mutation. 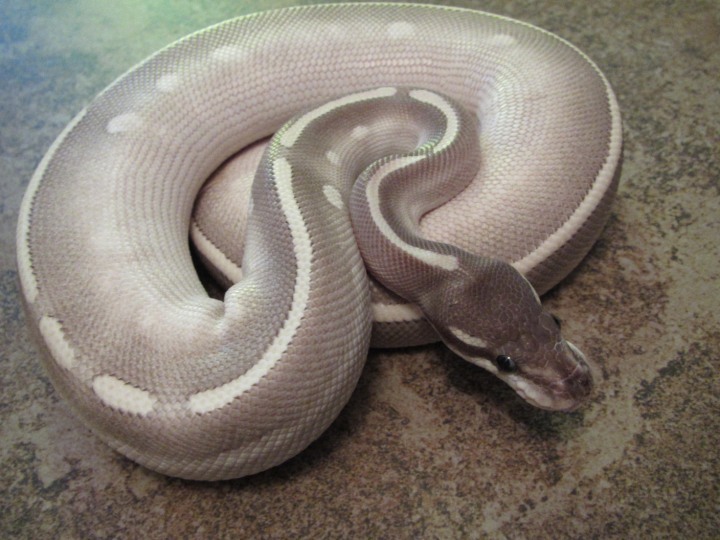 They all have originated from a single spider that was imported from Africa. 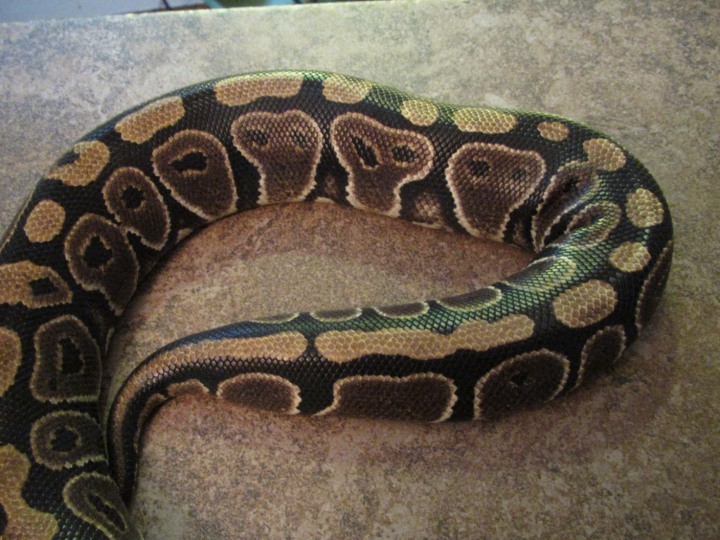 It’s a morph that is widely used in designer morphs. 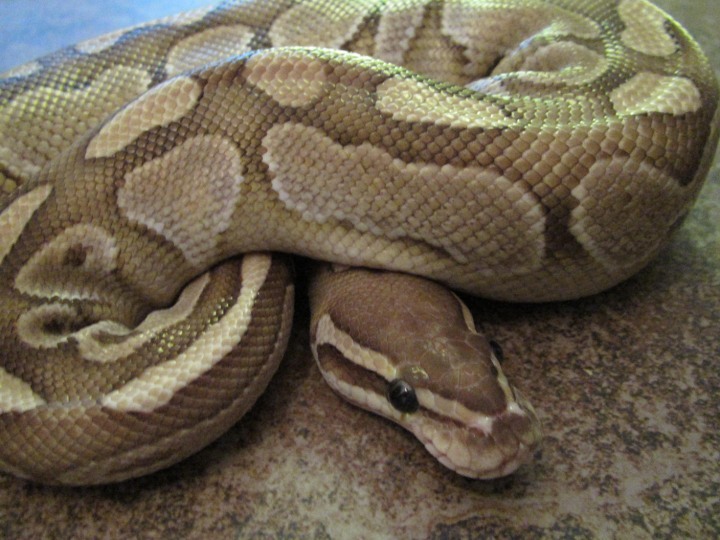 One trait that is linked to the spider mutation is a neurologic condition that affects the snakes coordination and often appear to have “head shaking syndrome”. 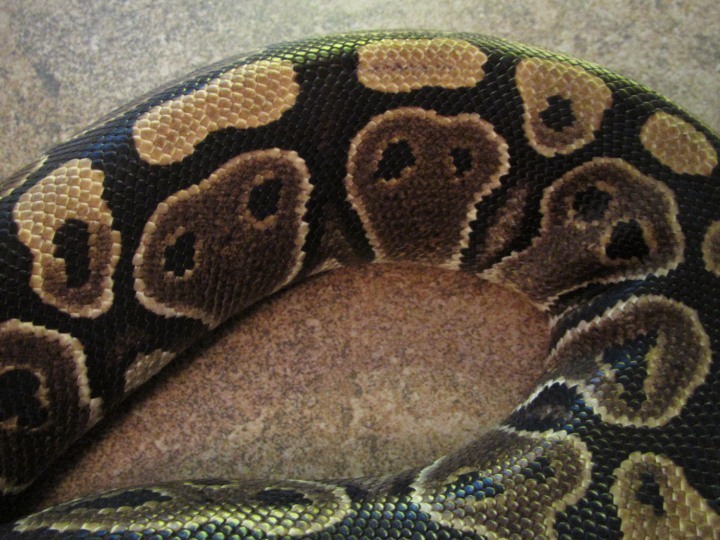 This presents in various degrees to having no signs of it to very exaggerate in some. 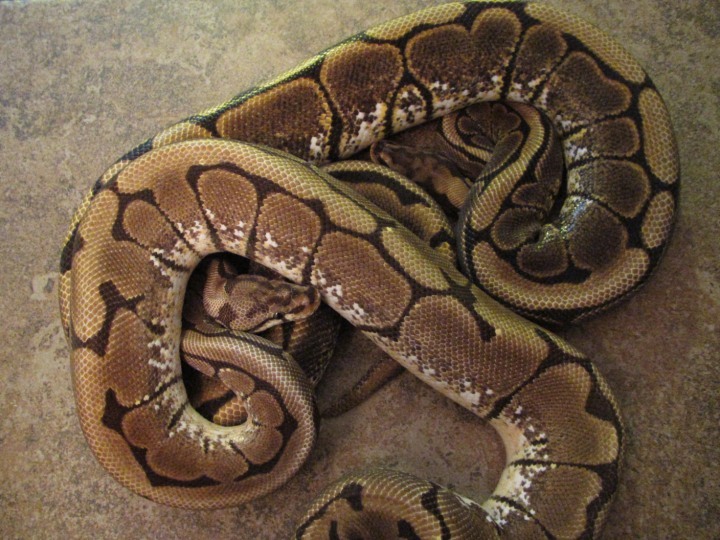 However, even though this condition comes under some criticism, it usually does not effect the snakes and they still thrive and reproduce making some the best designer combos out there. 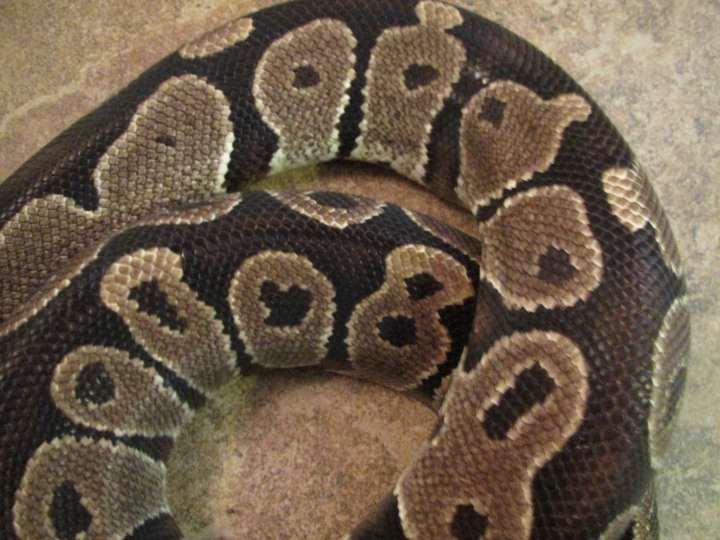 The spiders that we are currently working with do not exhibit any signs of wobble at this time. 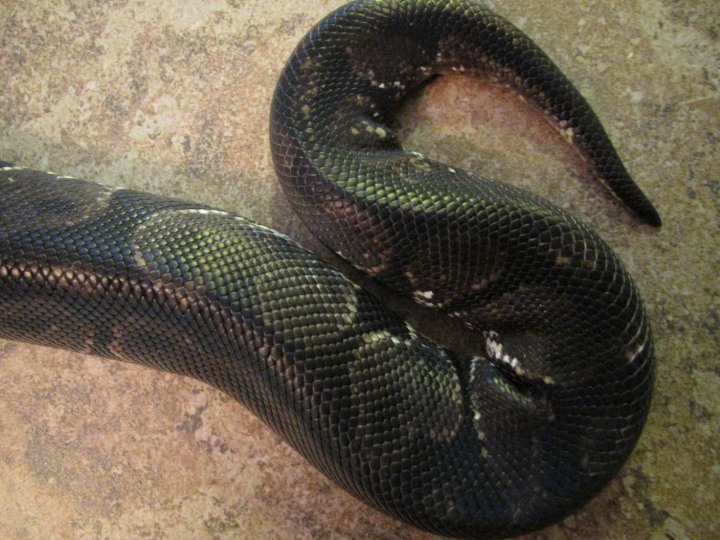 One of our females actually has a dark pattern to her and will be used for our Hypermelanistic project. 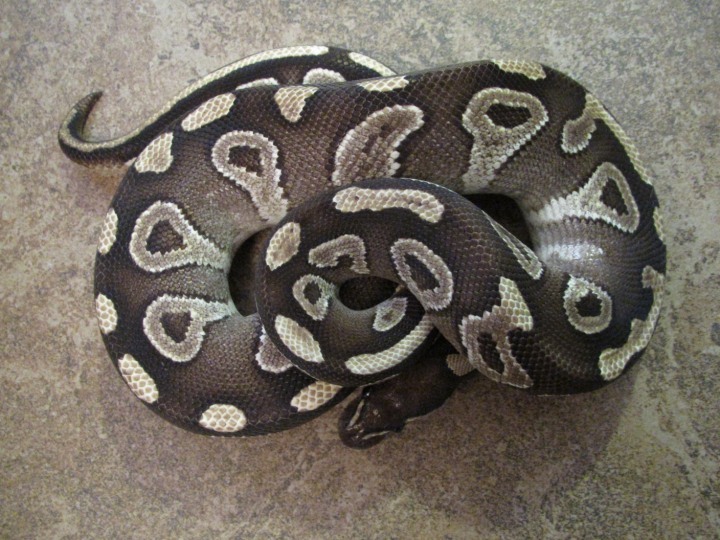 The Lesser Ball Python, also referred to as the lesser platinum, is a codominant color and pattern mutation. 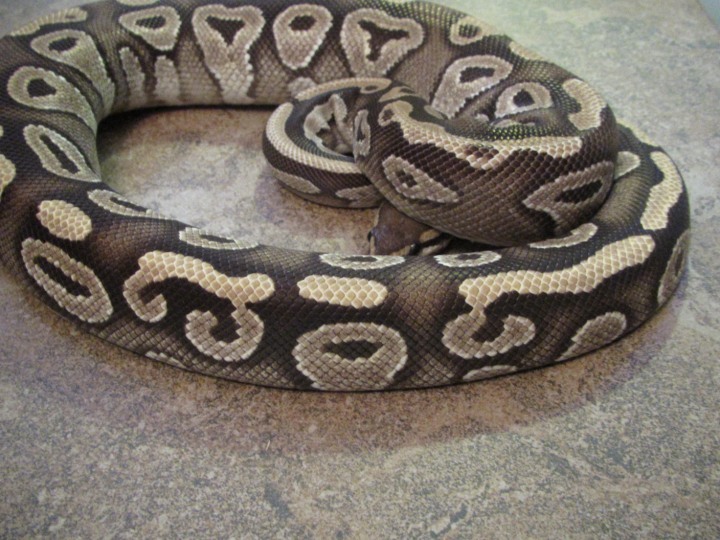 It originally was discovered by Ralph Davis back in 2004 and since then several other lessers have been imported from Africa. 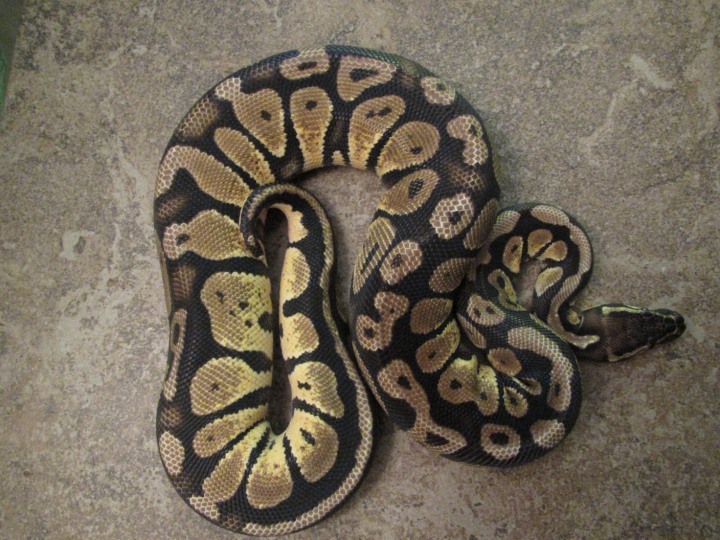 This morph is also part of the BEL complex and will produce Blue Eyed Lucys when bred to lessers, butters, mojaves, phantoms and mystics. 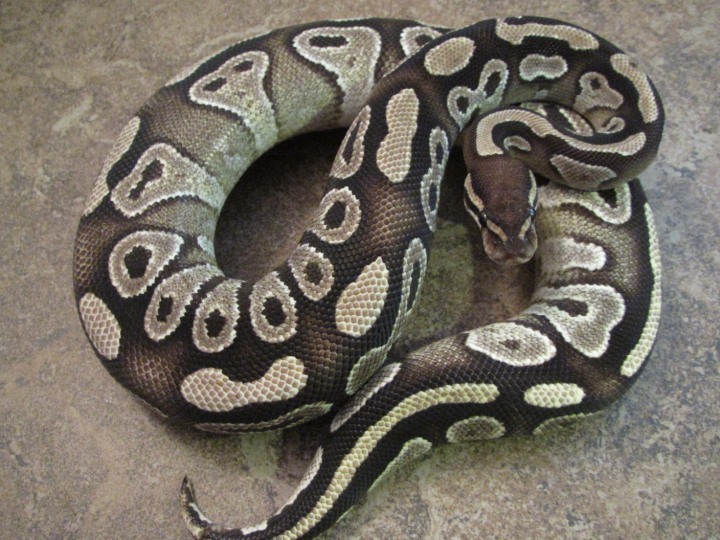 When bred to other morphs amazing combinations can be created. 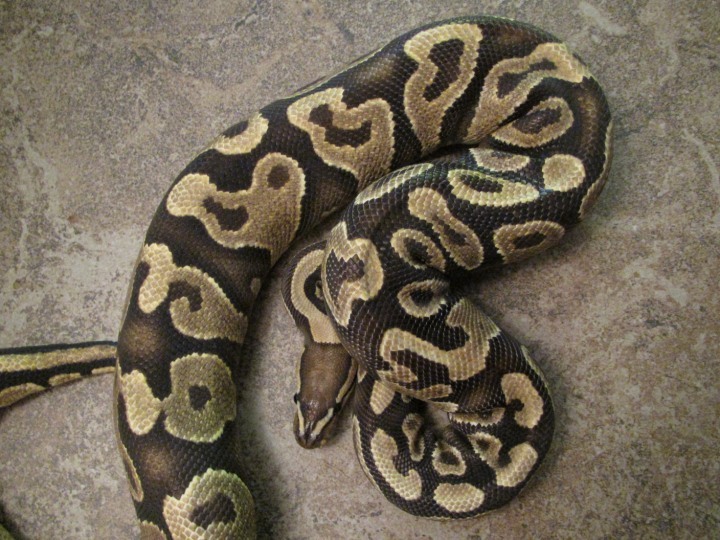 The Pastel Ball Python is a codominant color mutation that was one of the first proven ball python mutations to be recognized. 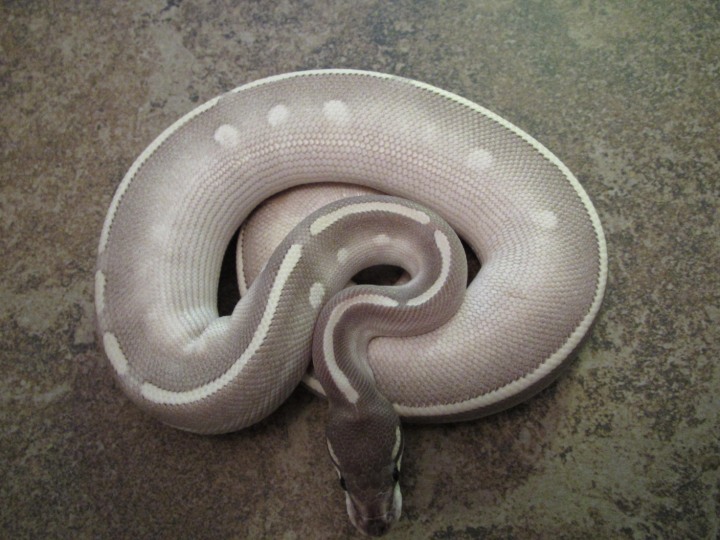 There are various pastel lines out there that most originated from imported pastels. 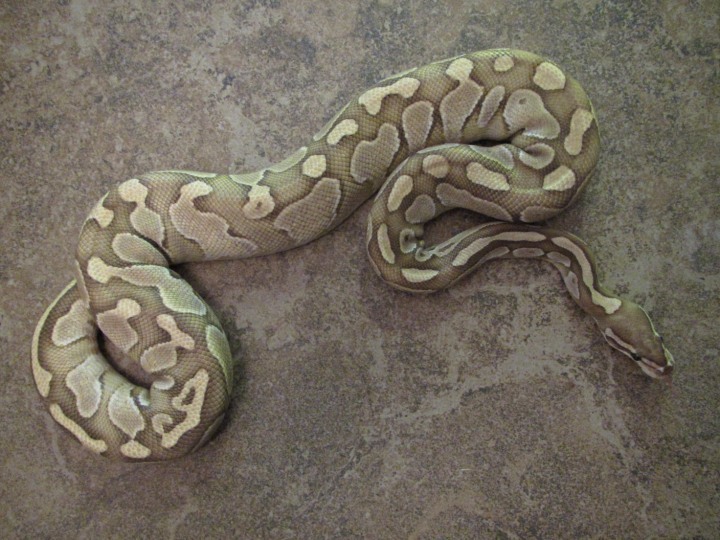 Through years of breeding and line breeding various levels of brighter yellows, lemons and blondes can be found. 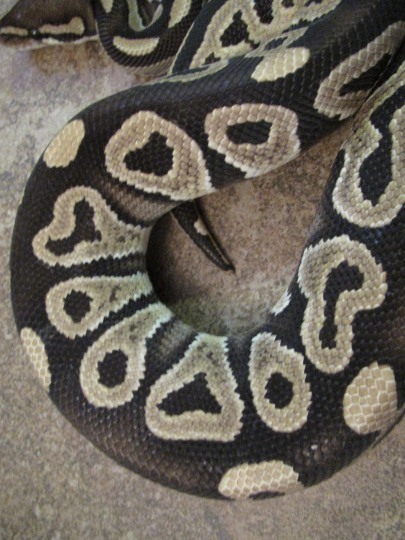 It is one of the most widely used lines bred into designer crosses. 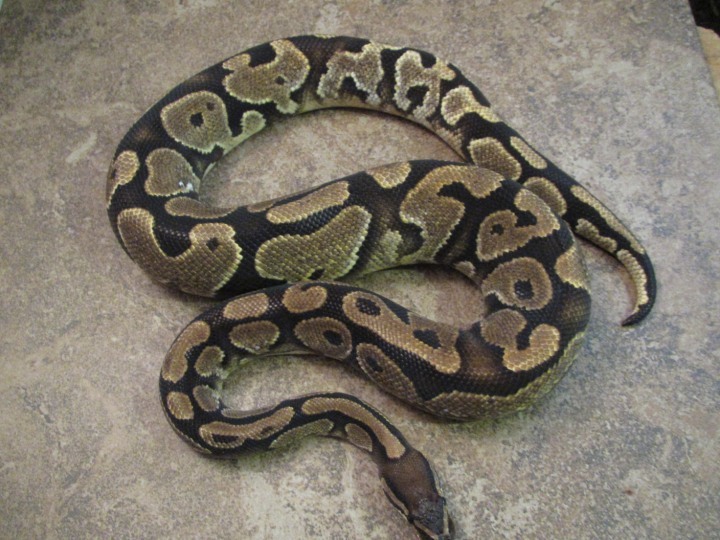 Our pastels will be used in various combinations to make some outstanding morphs. 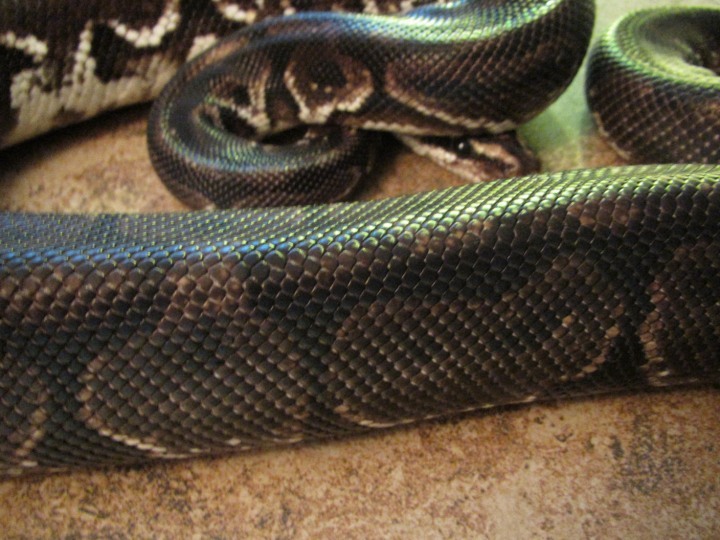 The Black Pastel is a codominant color mutation, heterozygous for the super black pastel. 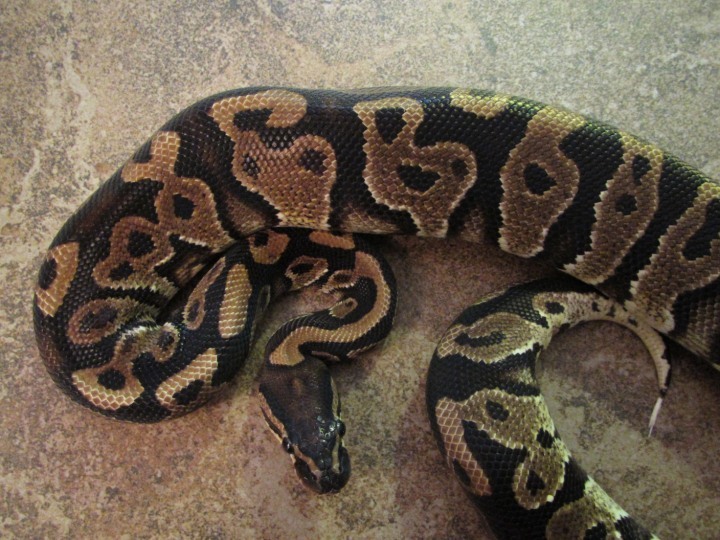 It was originally imported from Africa in 1996 as a group of captive hatched babies. 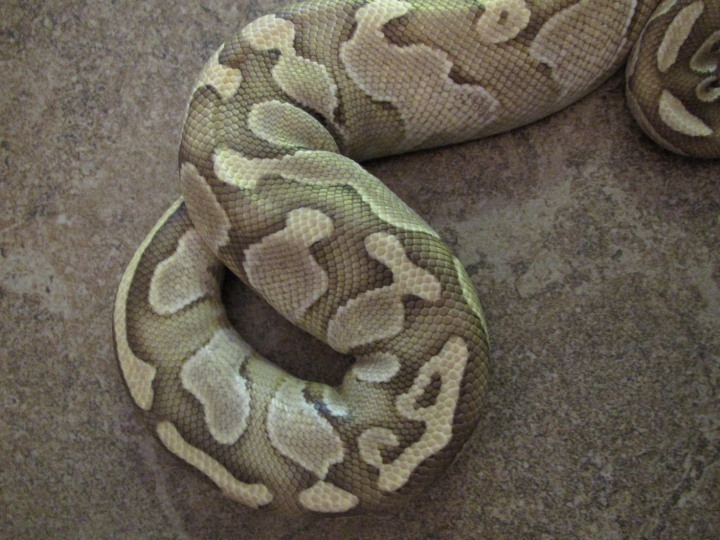 This morph has been crossed into various other morphs with great results. 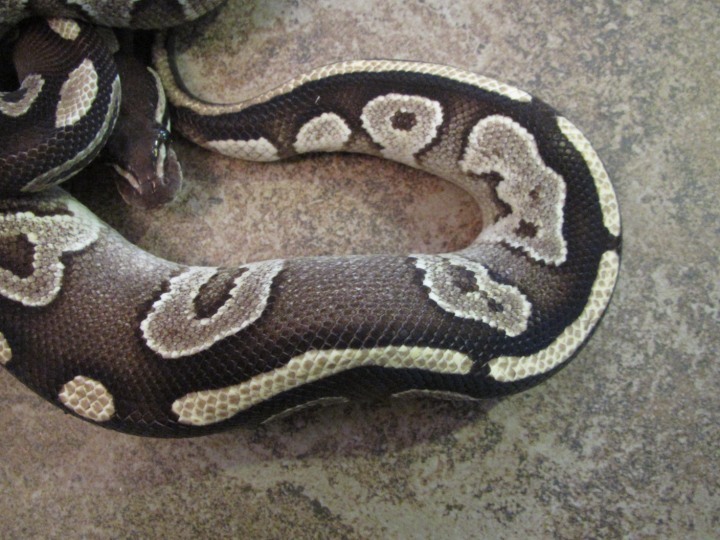 Our black pastel is heterozygous for the pied gene and has a very nice ringer. 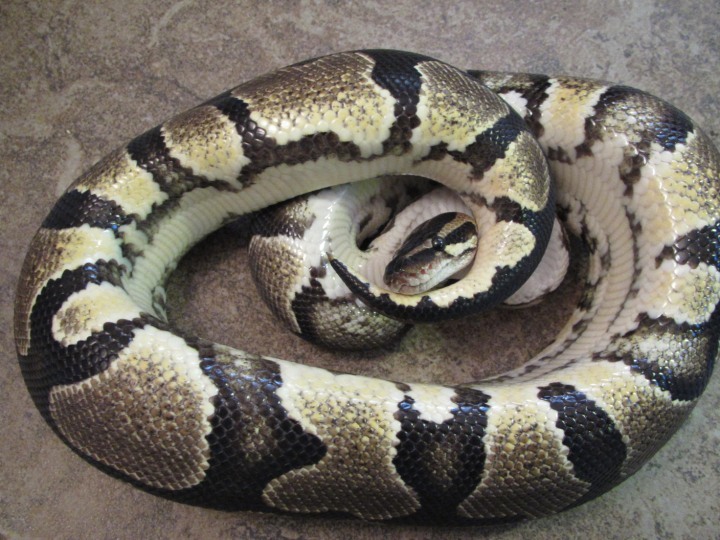 We plan on using this male to create some very nice black pastel pieds and the highly sought after Panda Pied (Super Black Pastel Pied). 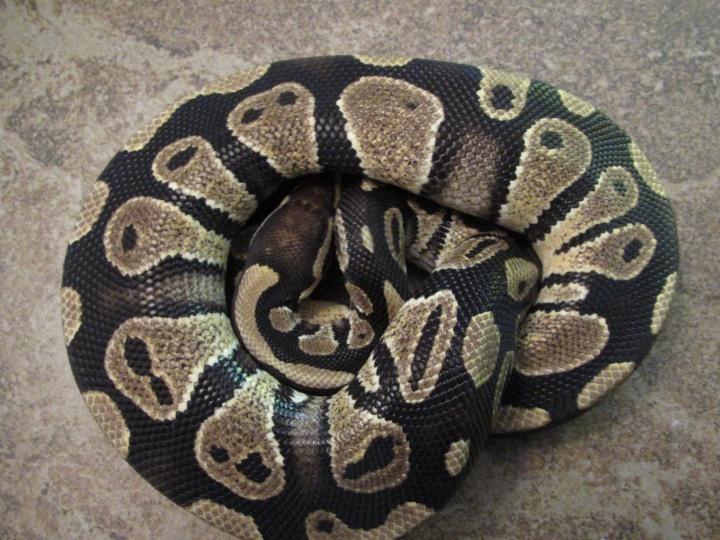 The Black Back mutation is believed to be a dominant color mutation where the background color is dark tone with a reduced pattern. 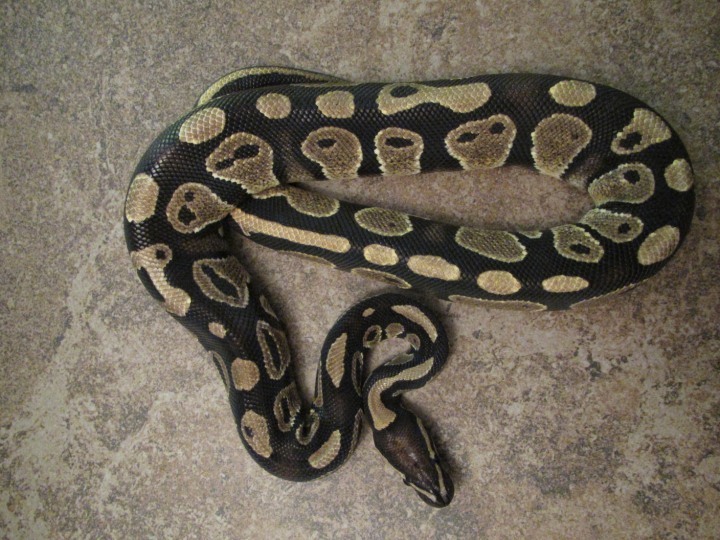 When bred to other mutations that dark color is often carried on in the offspring. 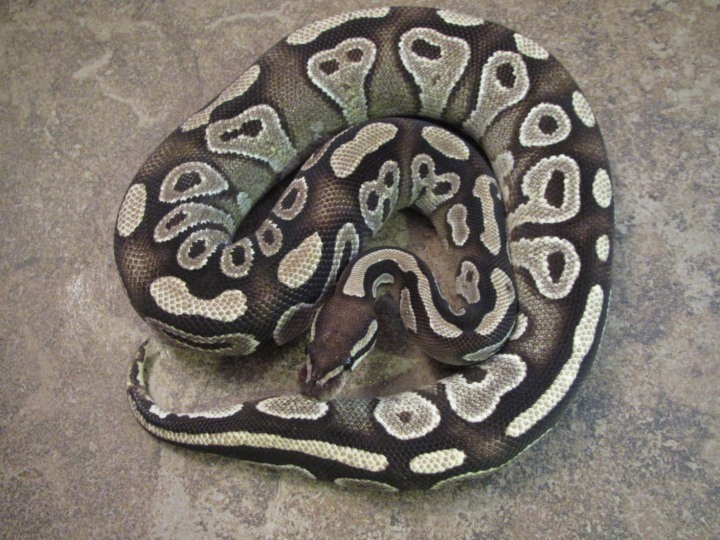 We will be working with a couple of black backs in our collection one of which has a nice pattern and flames to add some nice contrast to some of the morphs we are breeding. 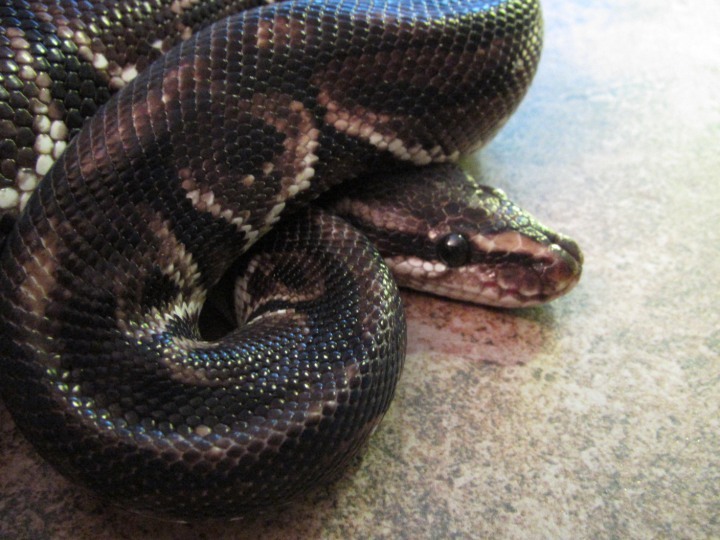 The Hypermelanistic Ball Python is a project that we are very excited to be working with. 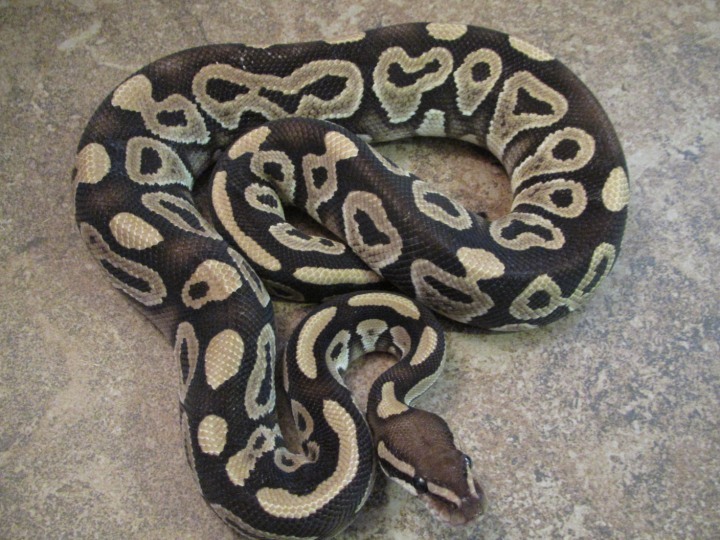 There are several breeders out there working with dark lines to create an all black ball python. 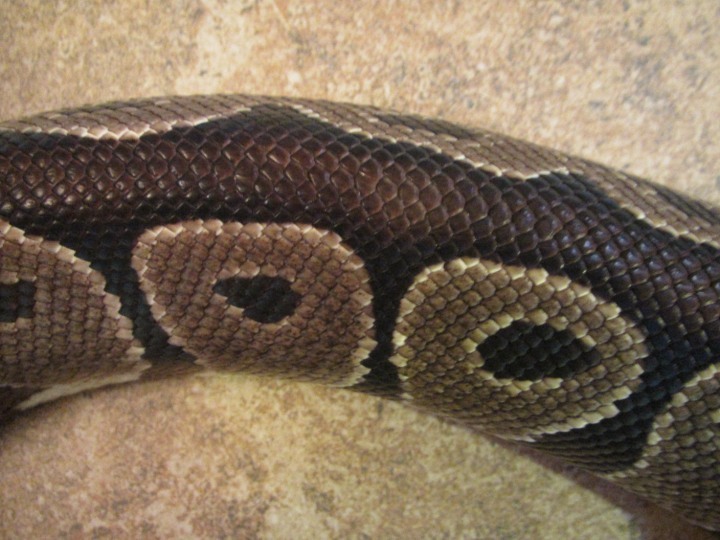 There are various lines out there including the Increased Melanin Gene (IMG) along with a few others. 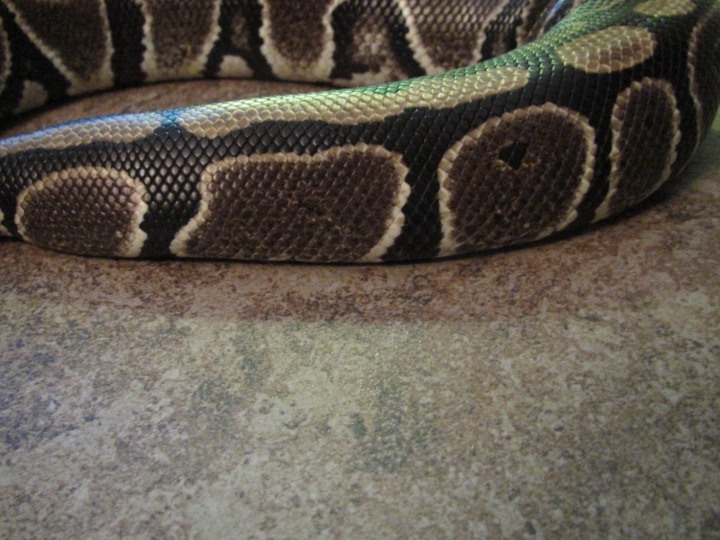 We are actually working with two separate lines. 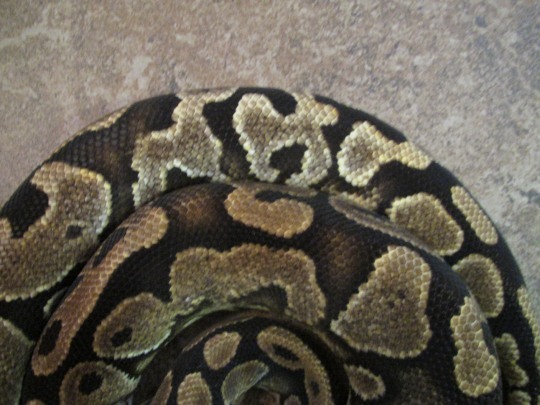 One, a male that came out of a blonde pastel bred to a normal. 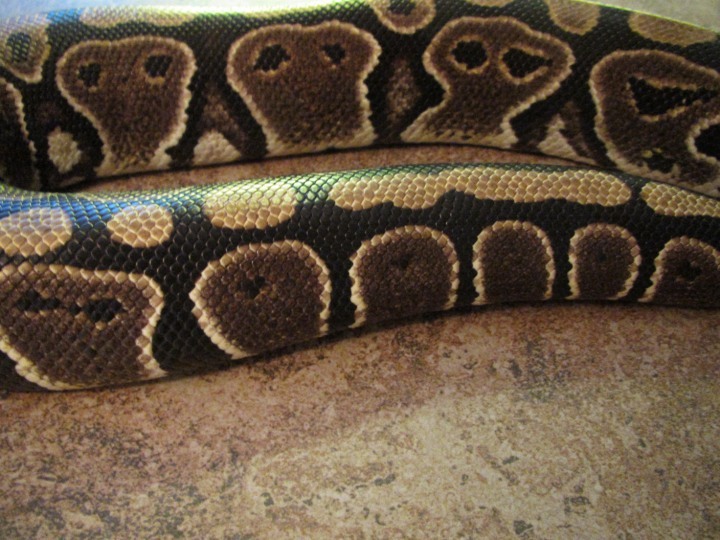 From what we were told twas that he hatched darker then others and as he aged he got darker and darker in color. 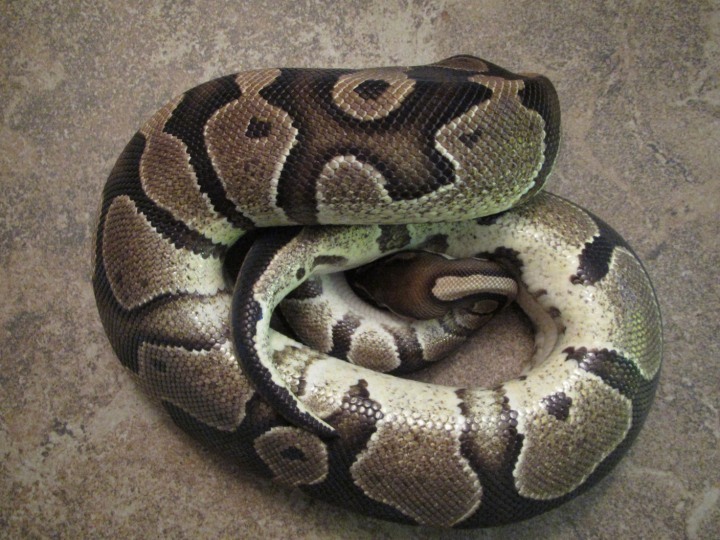 By a year of age he turned very dark. 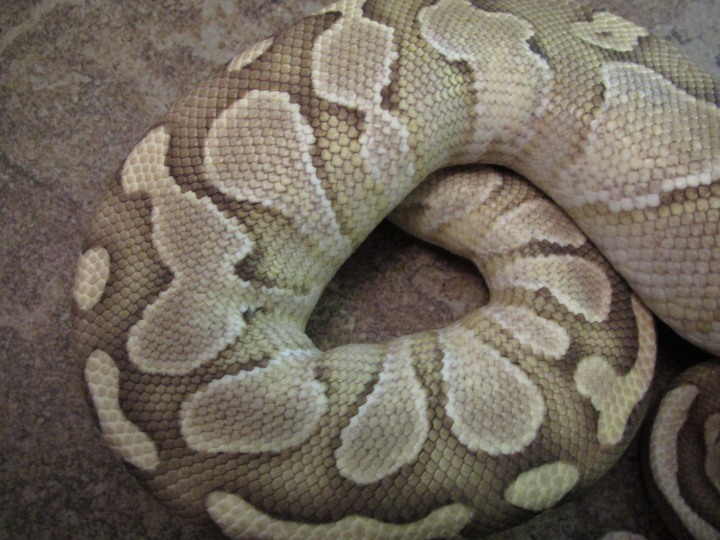 There were clutch mates that also turned dark, both normals and blonde pastels. 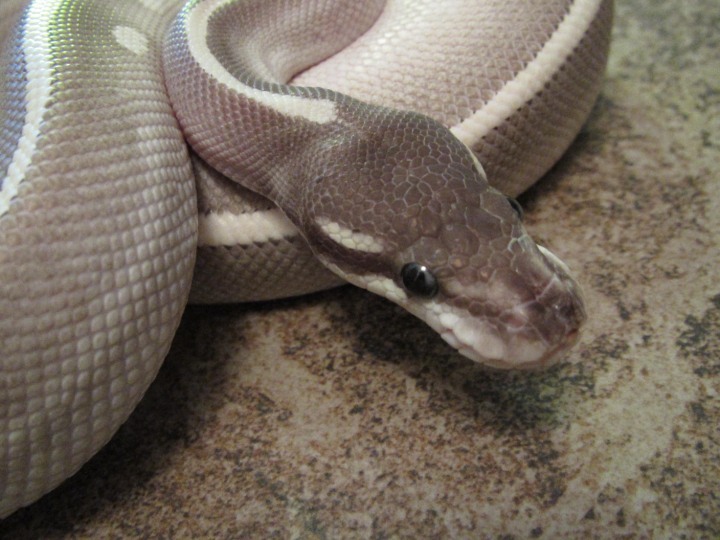 Whats interesting is that he has dark eyes not typical for the pastel lines at all. 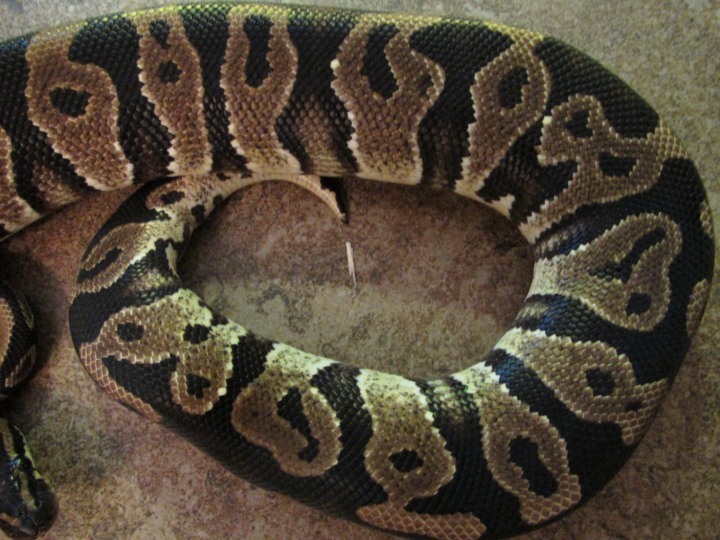 This maybe a marker that could show the offspring will be dark. 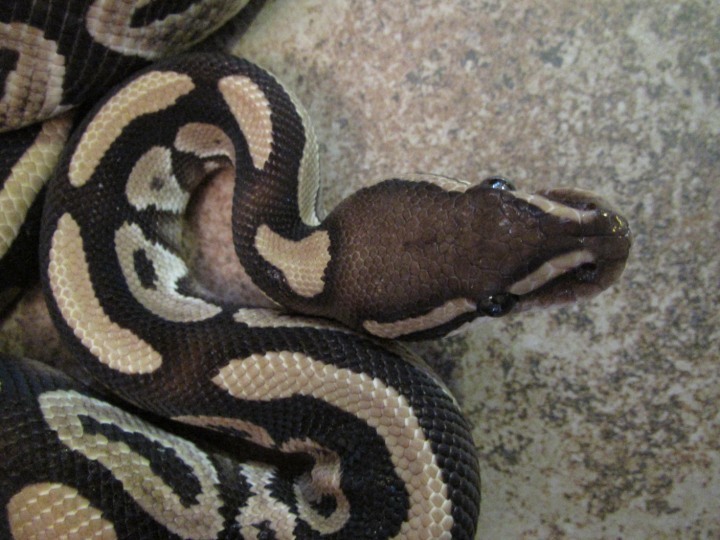 We will be crossing this male into multiple lines and try to create new lines of hypermelanistic morphs. 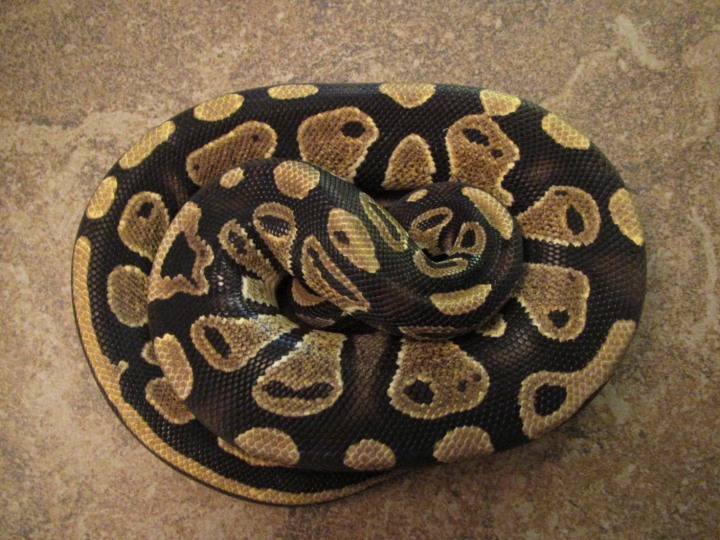 He is the first one shown in the images below. 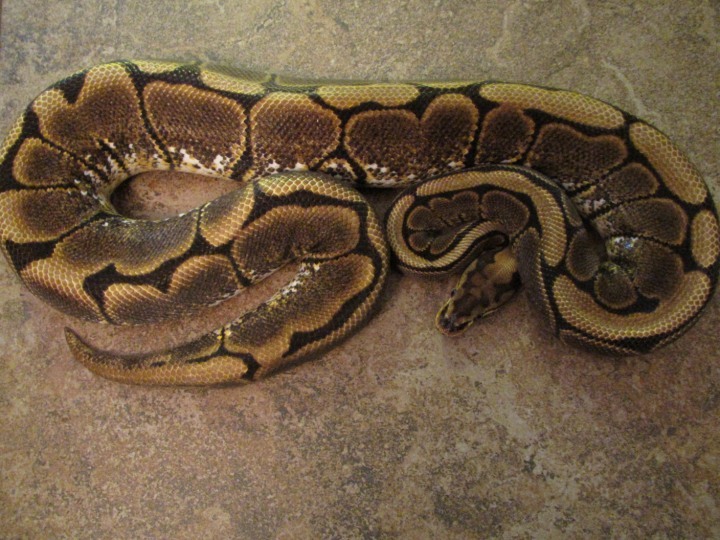 The other is a female that was produced by a wild caught female that had a dark pattern to her. 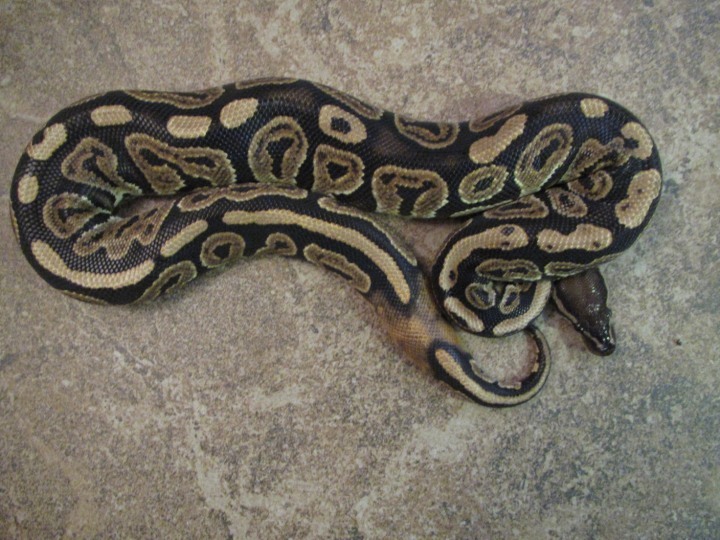 Her offspring continued on the dark trait and in fact this one appears to be darker then her mom. 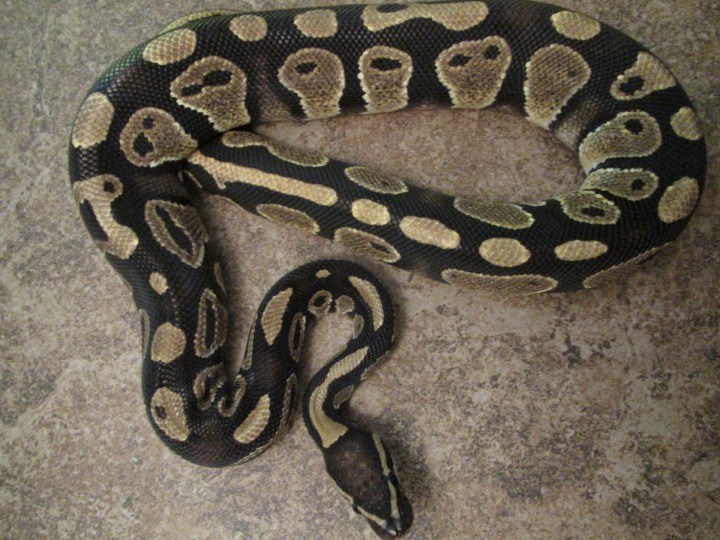 She is the second one in the images shown below. 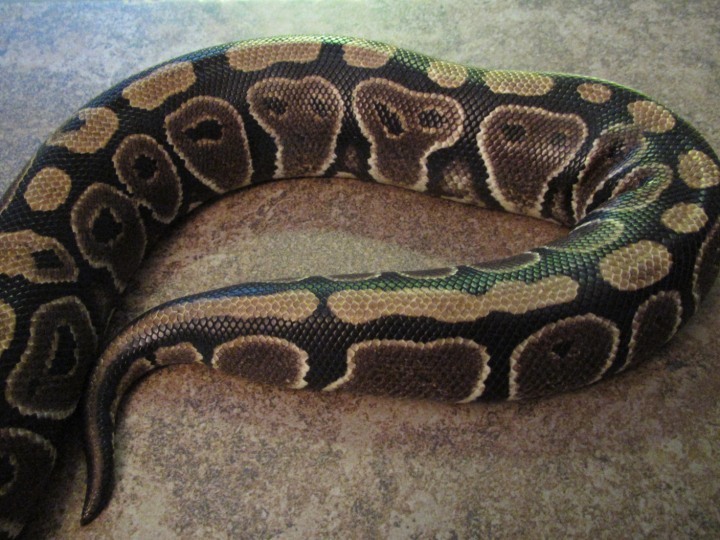 Of course, we will be trying for the super form of each in the next generations to come. 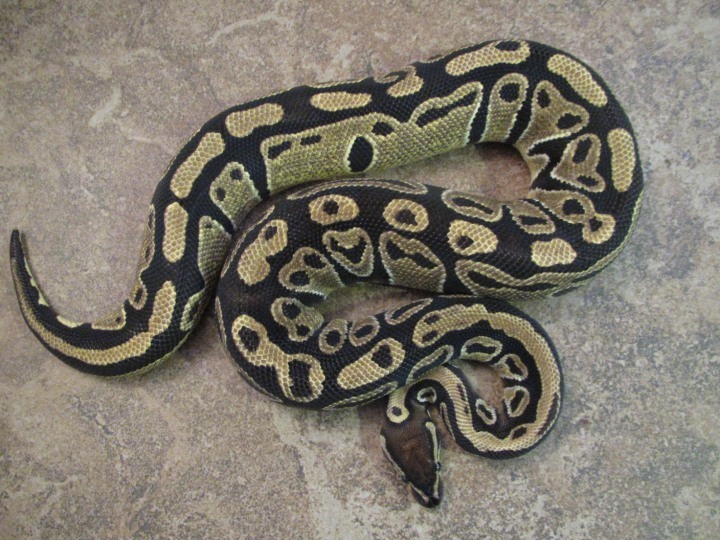 The Yellow-Belly Ball Python is a codominant color mutation that has been in the industry since late 1990’s. 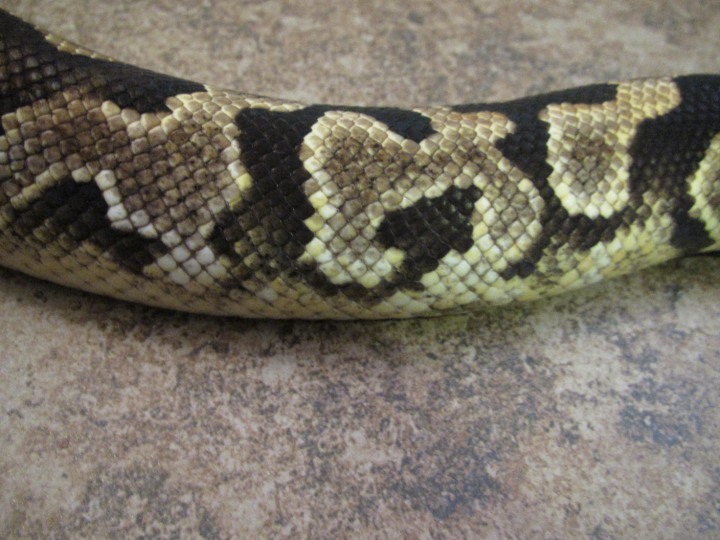 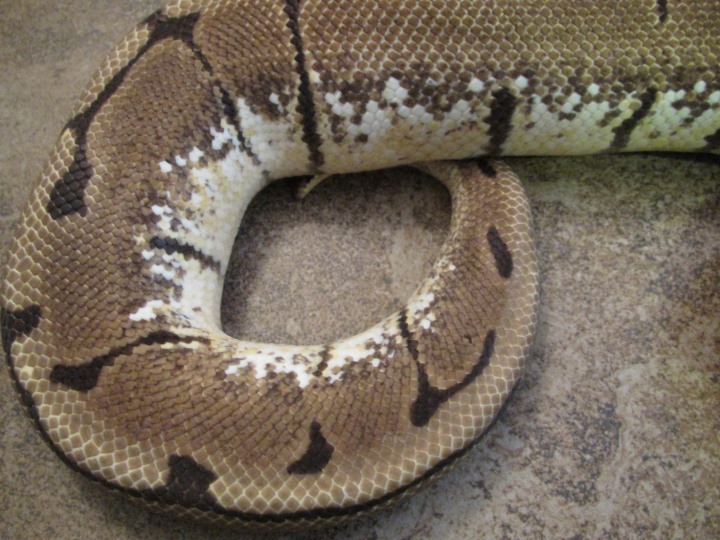 The mutation name can be misleading as not all snakes have the yellow flecks on their bellies and flanks as seen in many. 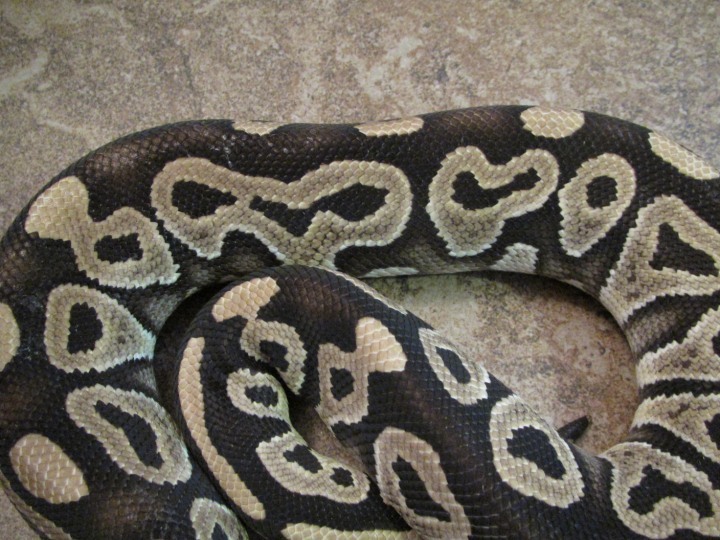 The best indication of the mutation is the checkered black, gry and white boarder along the ventral scales. 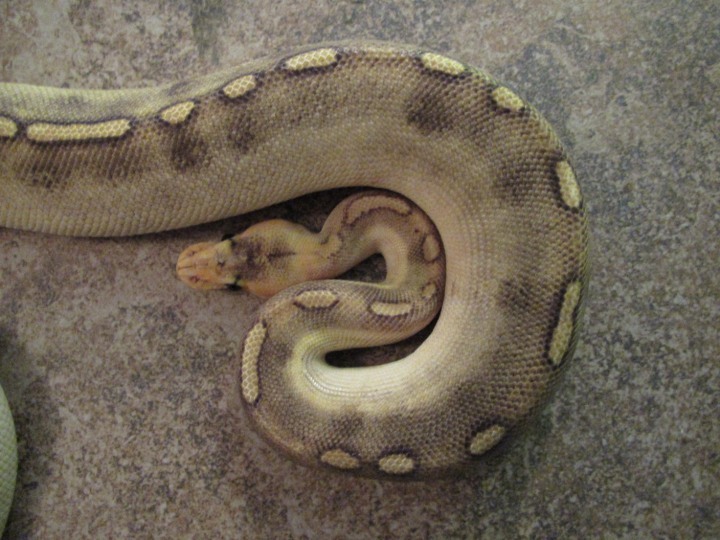 The Yellow-belly mutation is highly used for designer morphs and tend to add color and improve many mutations. 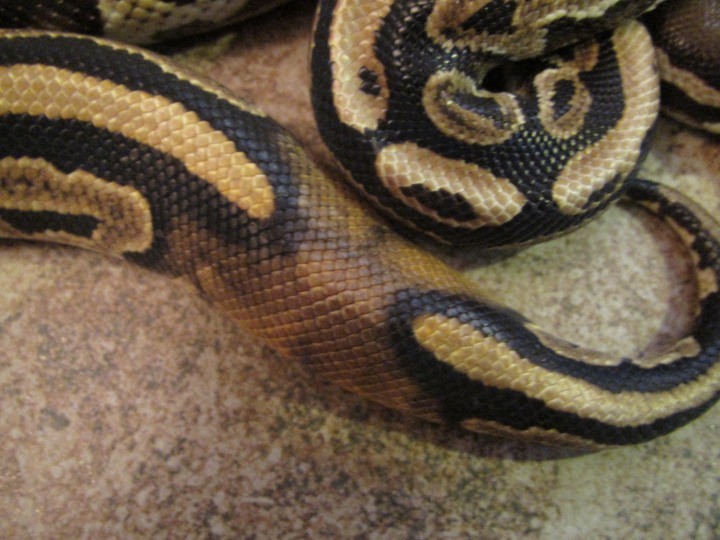 Our male yellow belly came from N.E.R.D and has a unique pattern which means other genes may be in play with him. 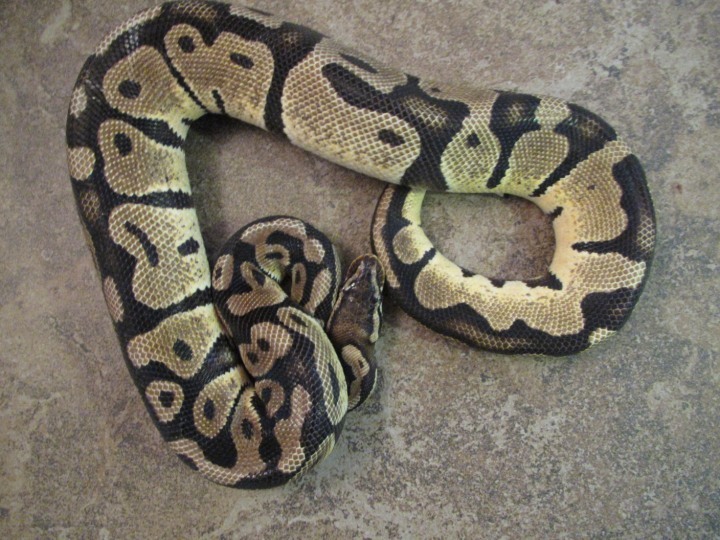 The Gravel Ball Python aka Het Highway originally came from what was thought to be a captive hatched Yellow Belly import. 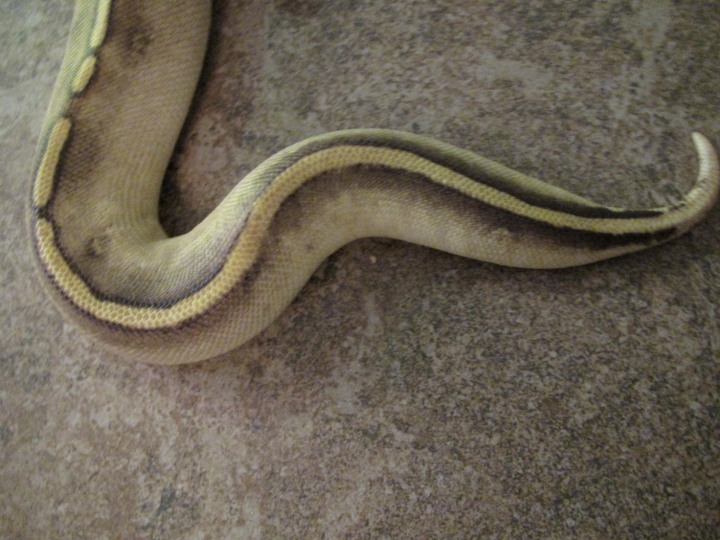 It was bred to another Yellow Belly with the intent on producing ivories, however the Highway popped out. 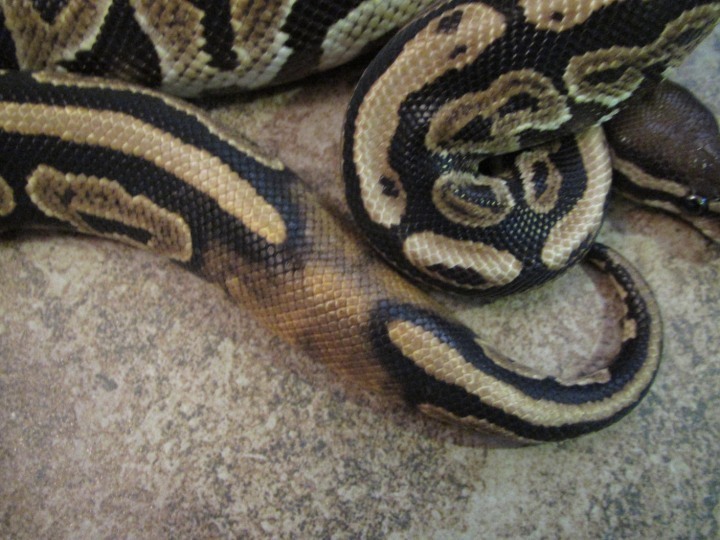 The gravels and yellow bellies look very similar and are often hard to tell apart. 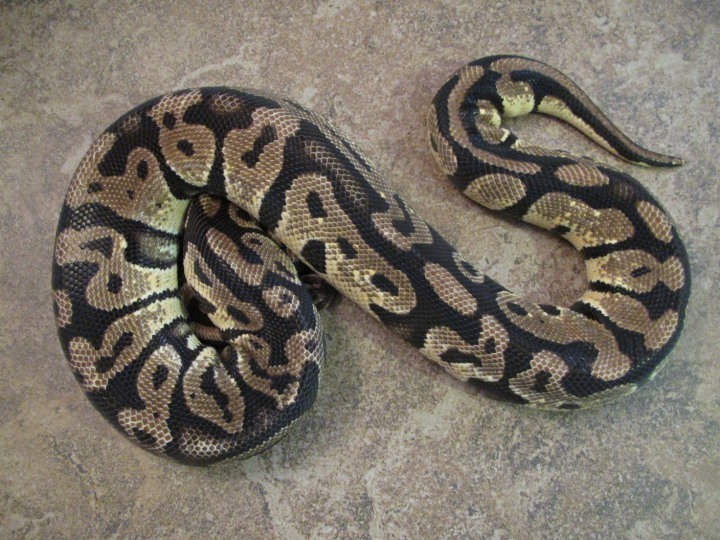 When a gravel is bred to a gravel it has amazing results creating the Super Gravel. 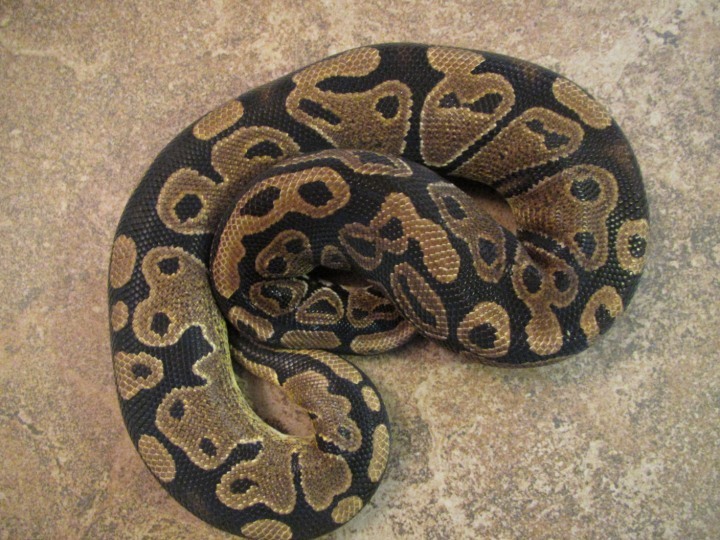 We will be breeding our gravel to a yellow belly and some other morphs and hope to have some great animals available. 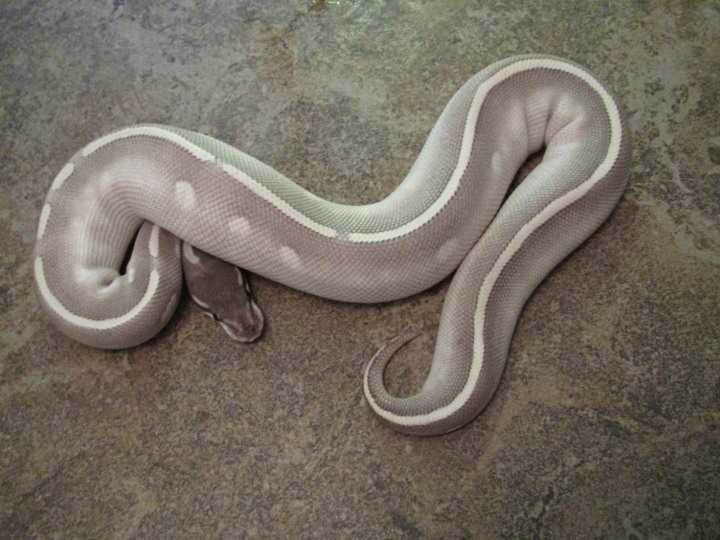 The Albino Ball Python is a recessive color mutation and the Piebald (Pied) is a recessive pattern mutation. 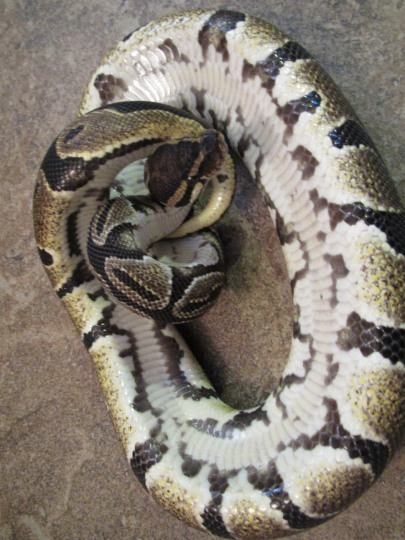 We lumped this group together because we are currently working with a group of double hets for the albino and pied gene as well as some het pied female. 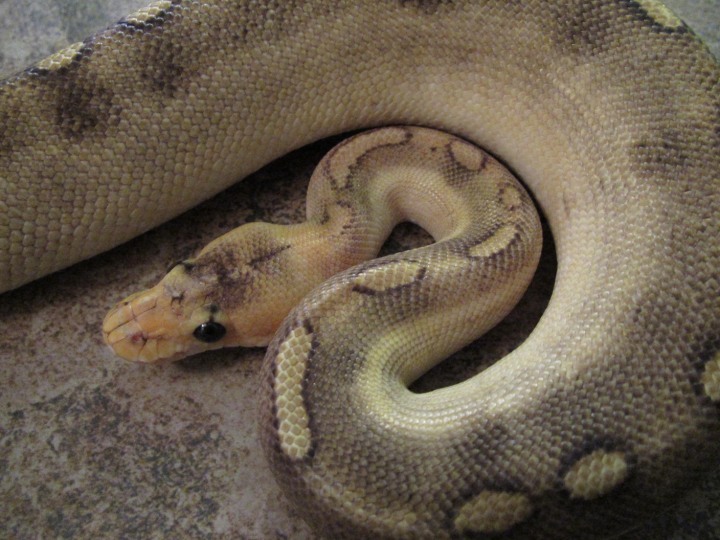 We have high hopes of hitting the odds with this group and produce one of the most sought after ball python morphs……the Albino Pied Ball Python. 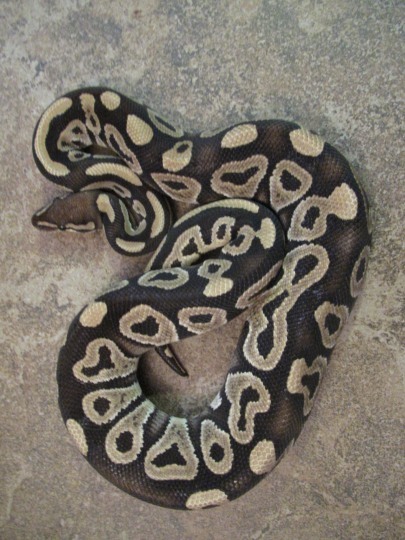 The het Pieds will be used for other combinations including the Black pastel Pied. 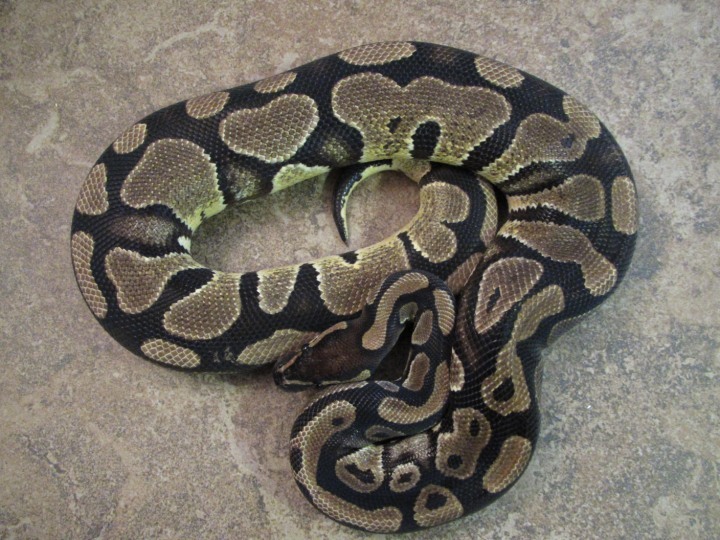 The normal/ wild type originated in the pet industry in the 1980’s. 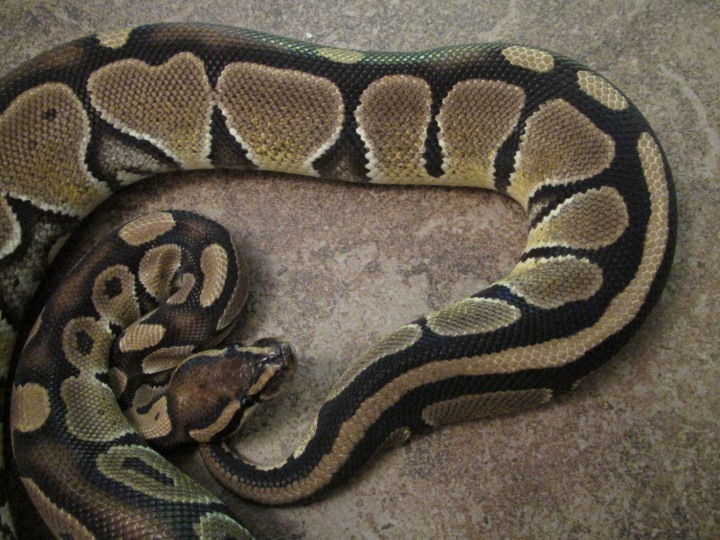 As time went on the new mutations have popped up in the industry and gained a much bigger popularity. 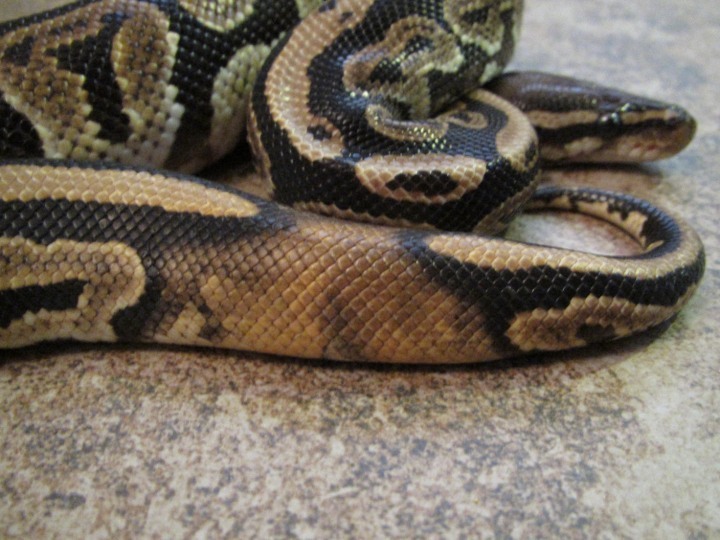 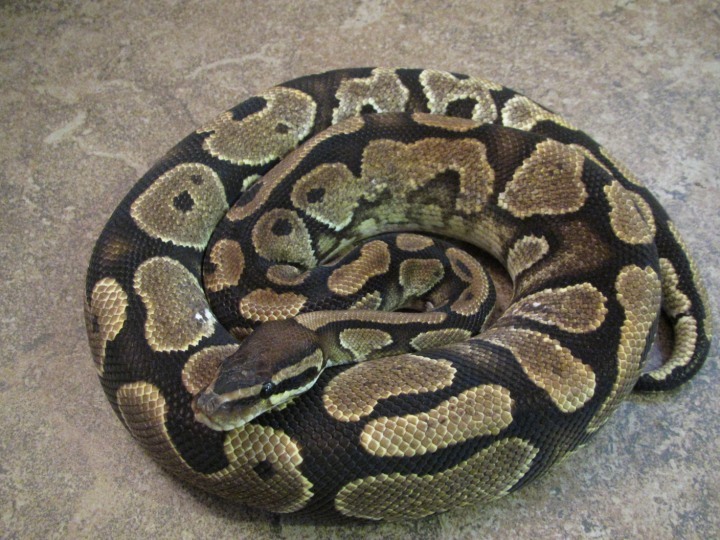 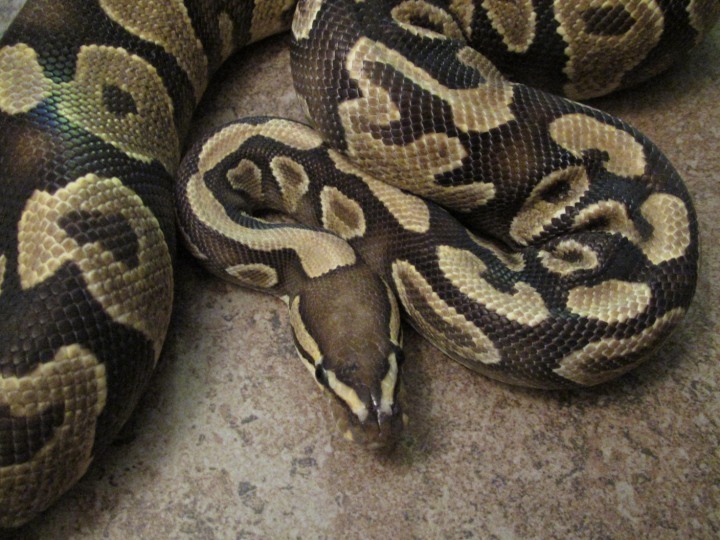 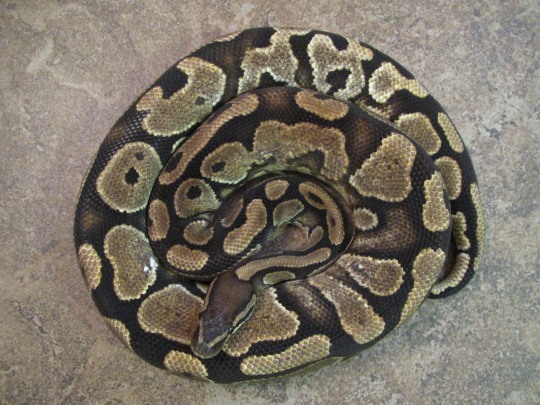 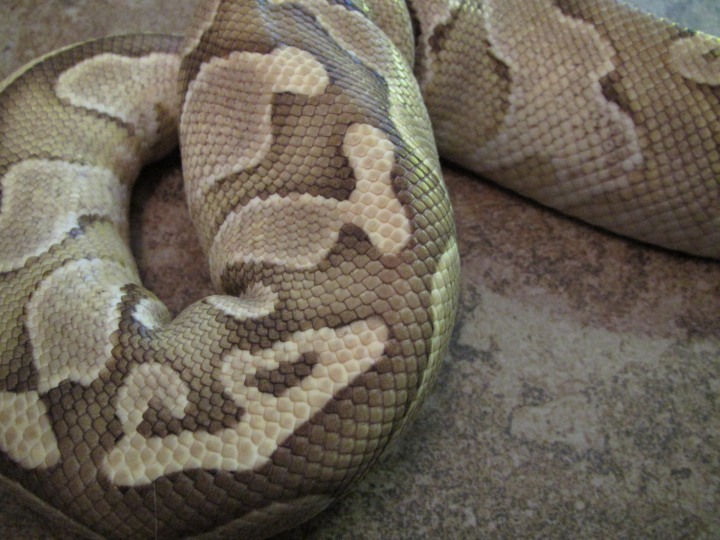 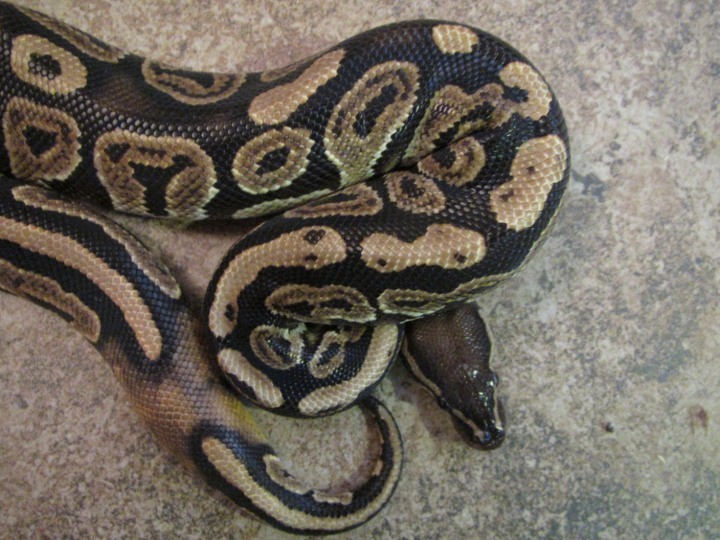 However, normal ball pythons can still be used to reproduce the various mutations, both the dominant and codominant as well as the recessive as heterozygous carriers of the genes. 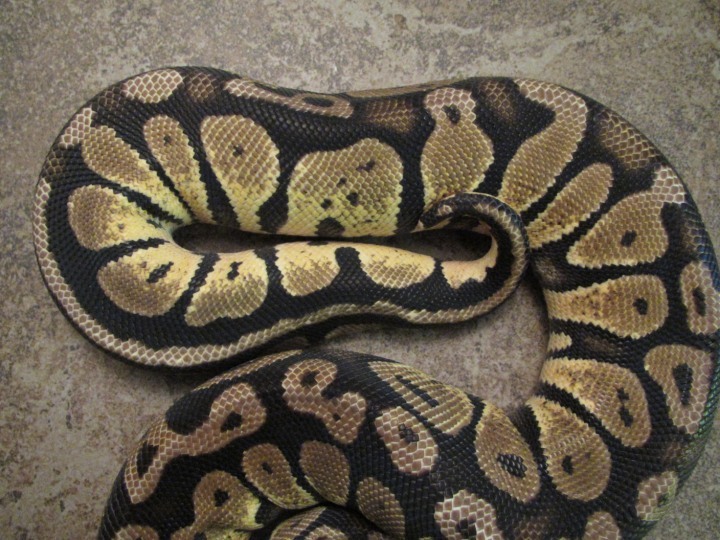 We will be using them for test breeding and for reproducing some of our bigger genes.